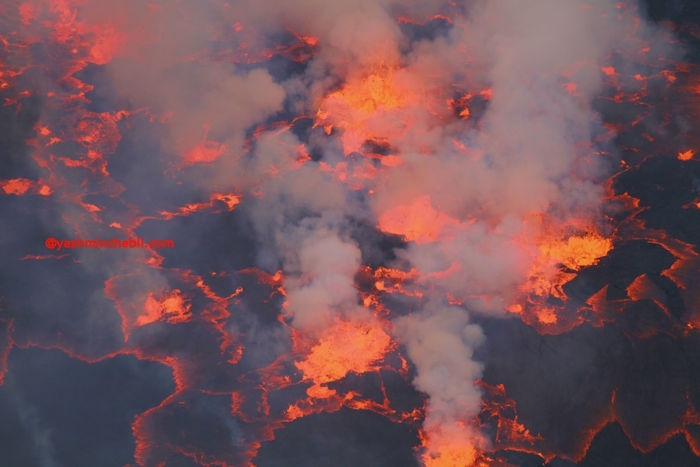 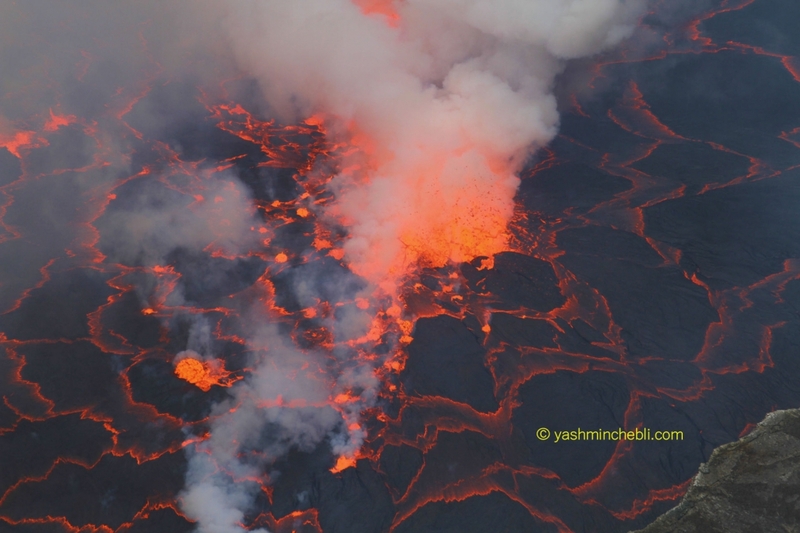 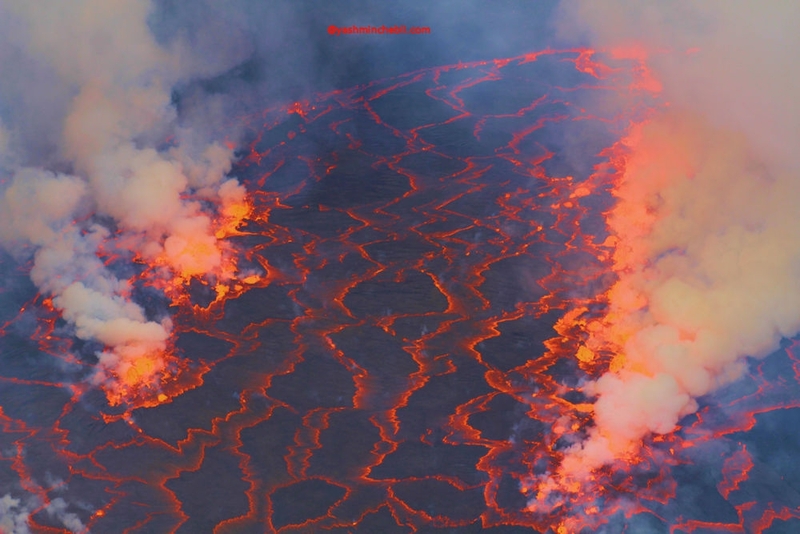 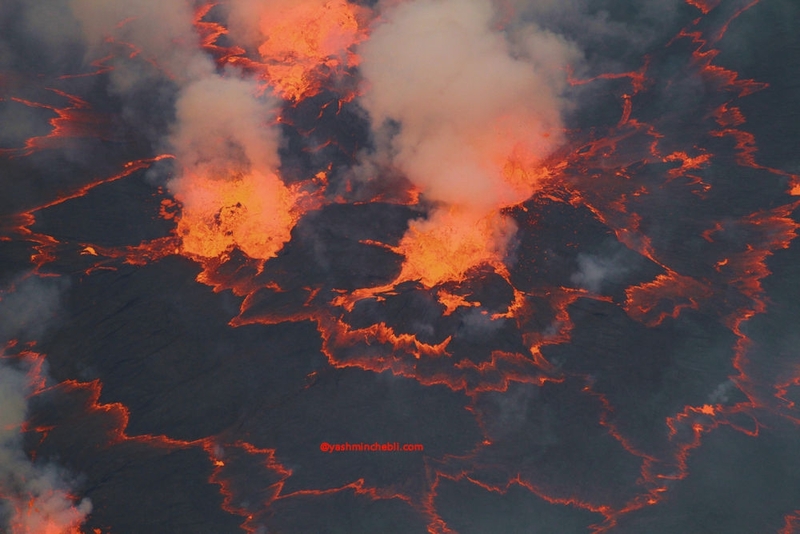 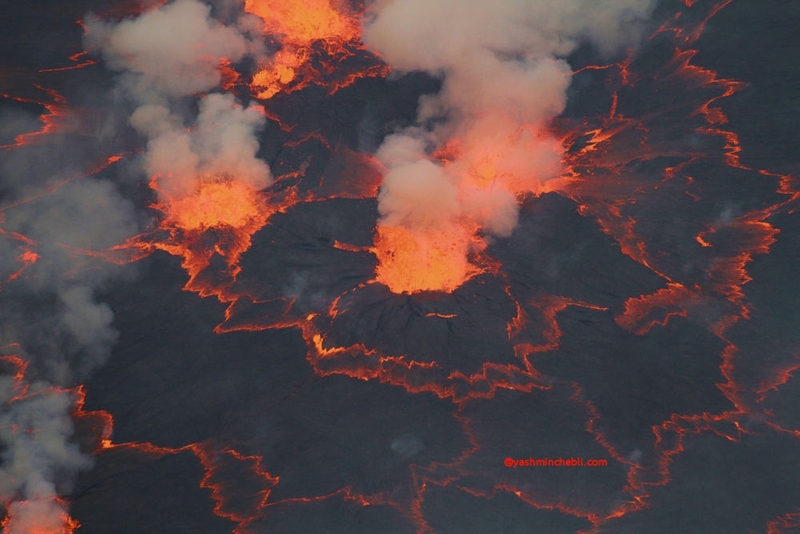 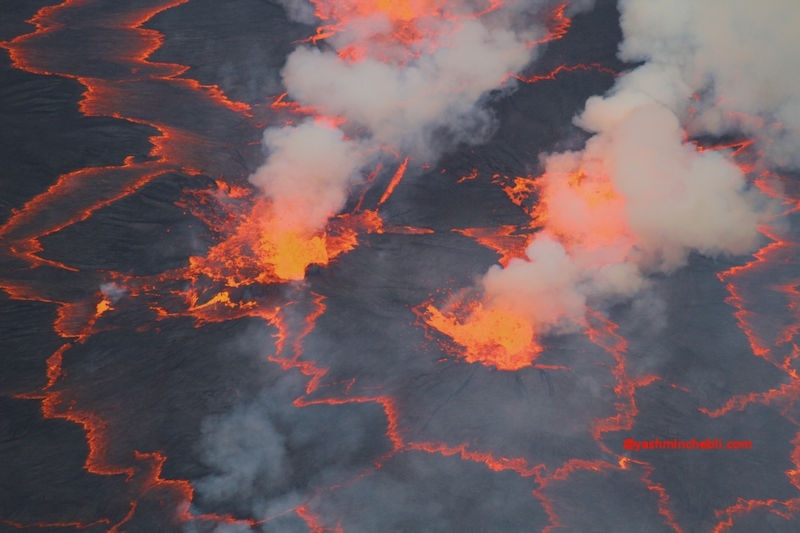 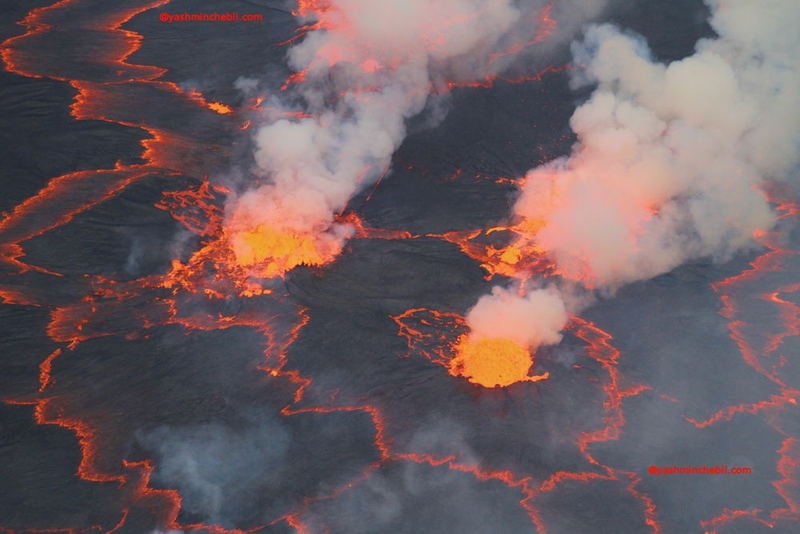 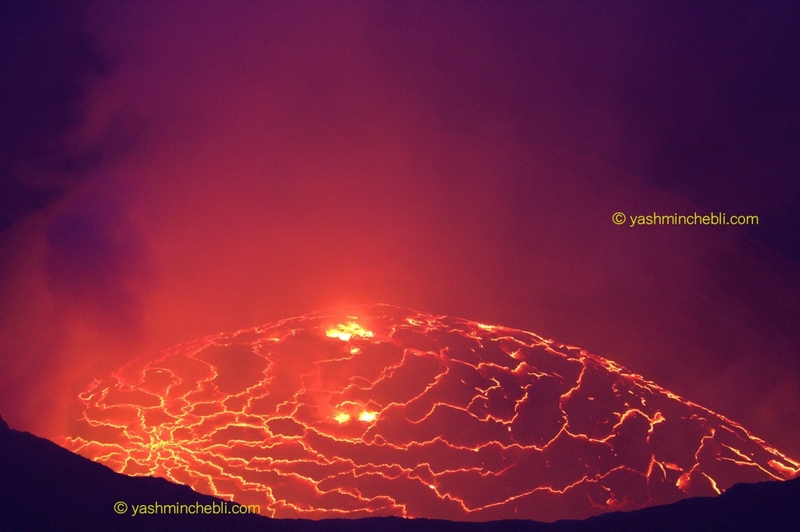 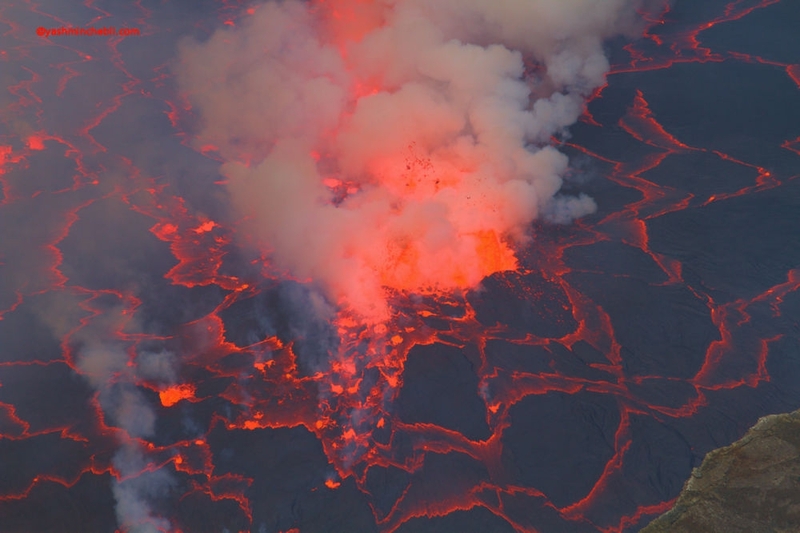 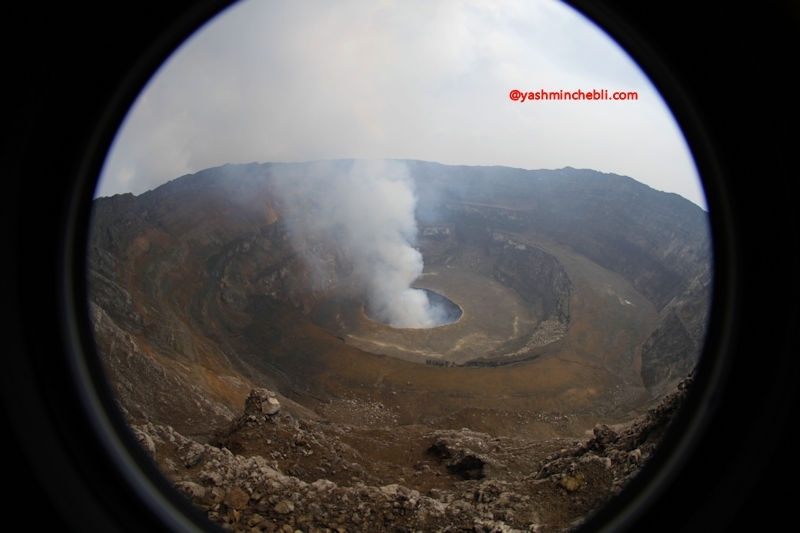 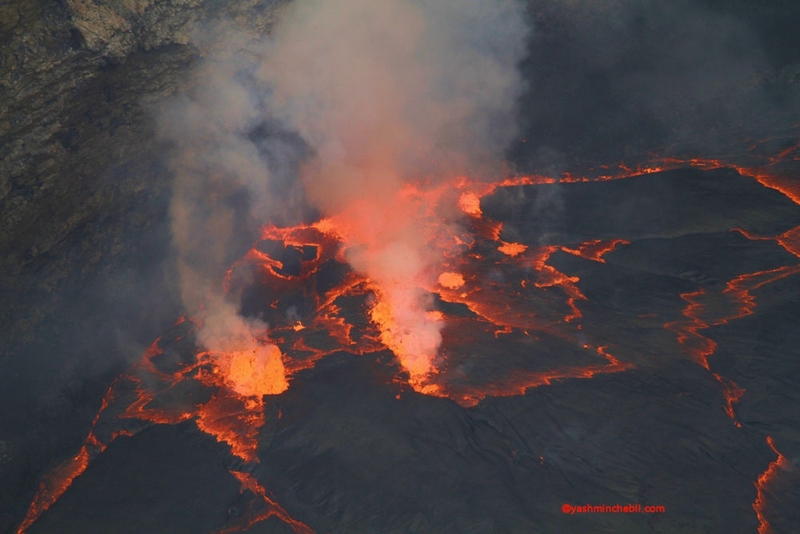 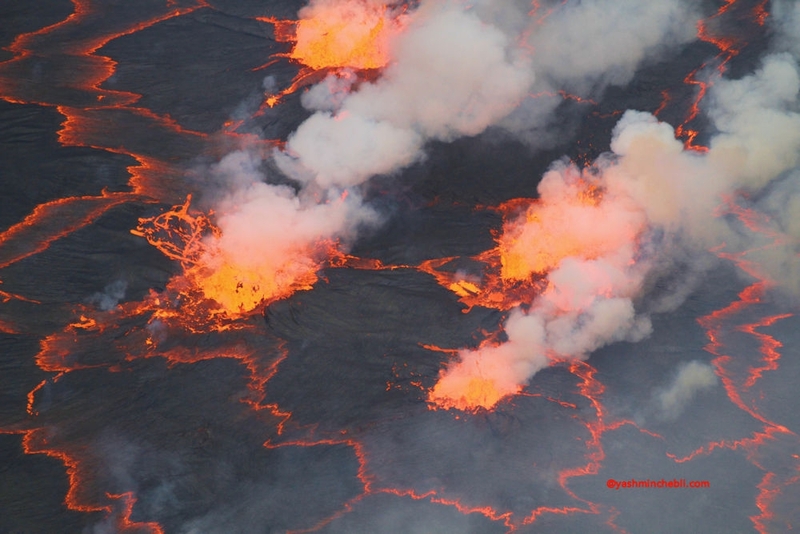 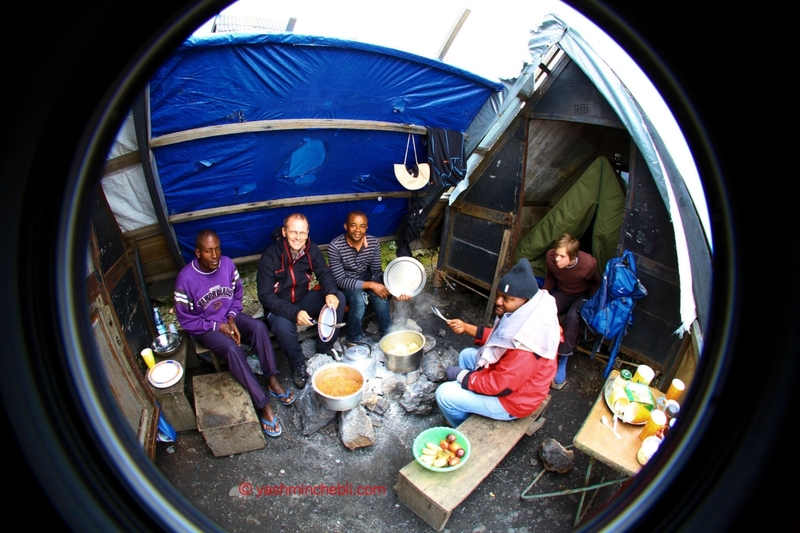 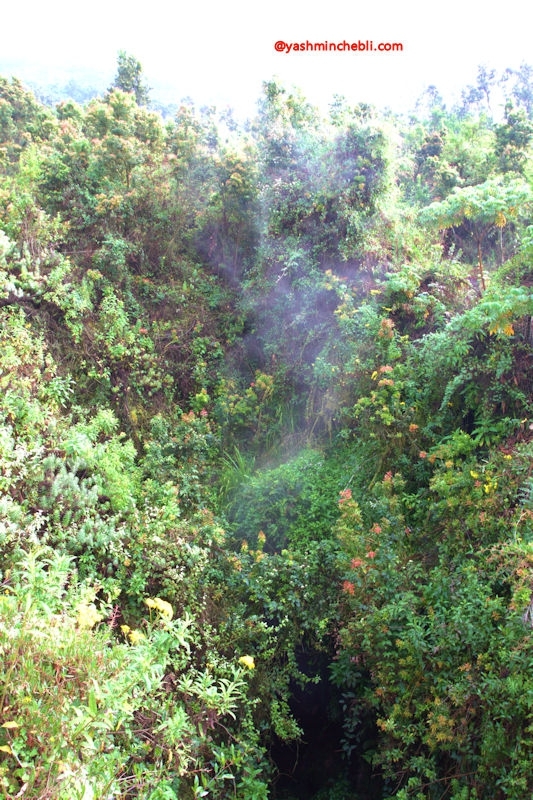 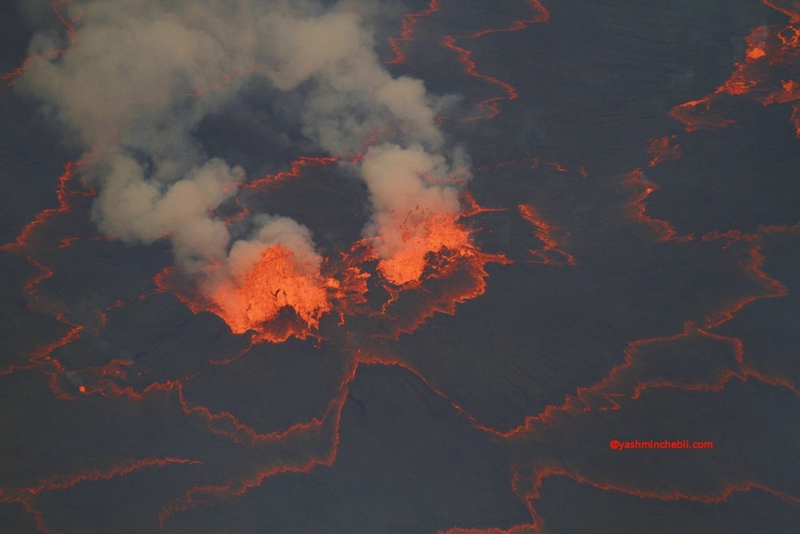 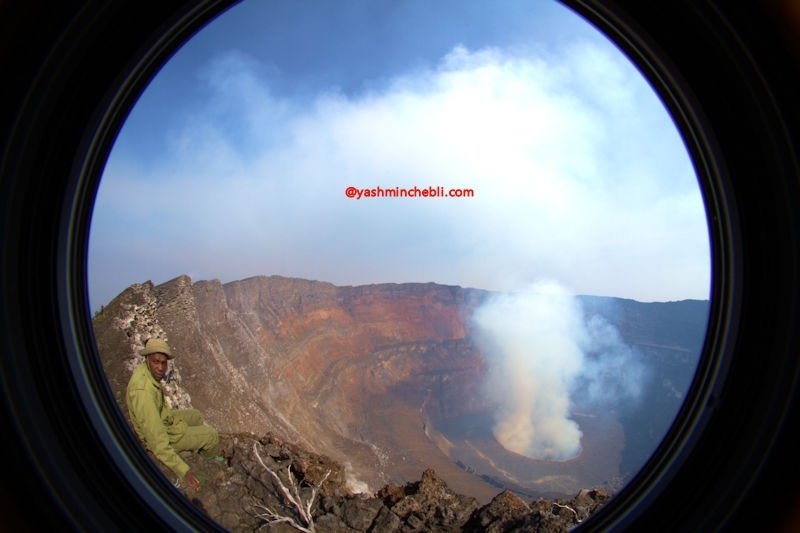 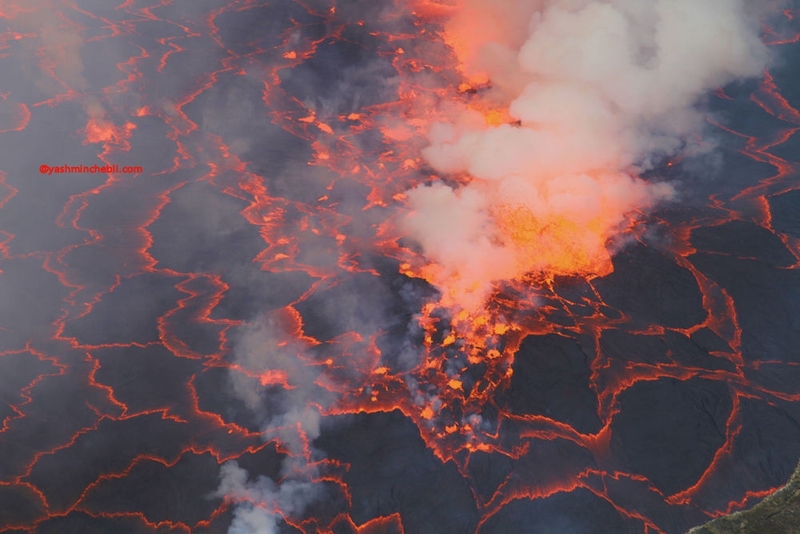 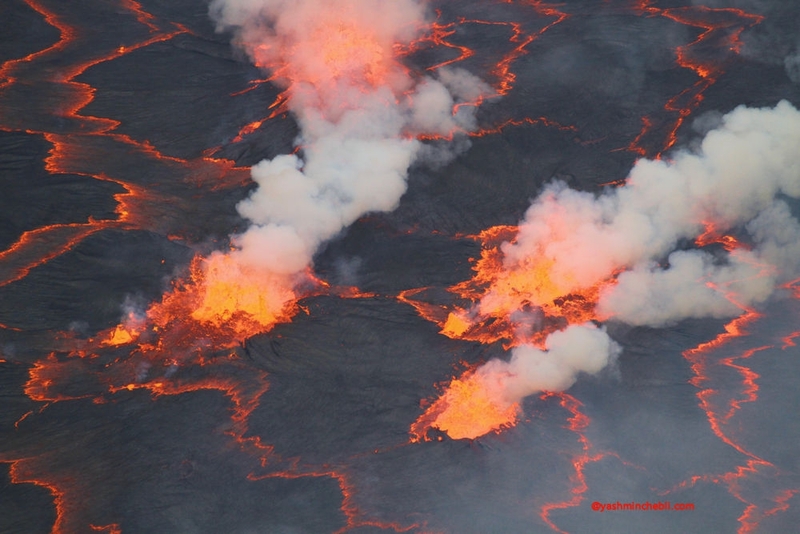 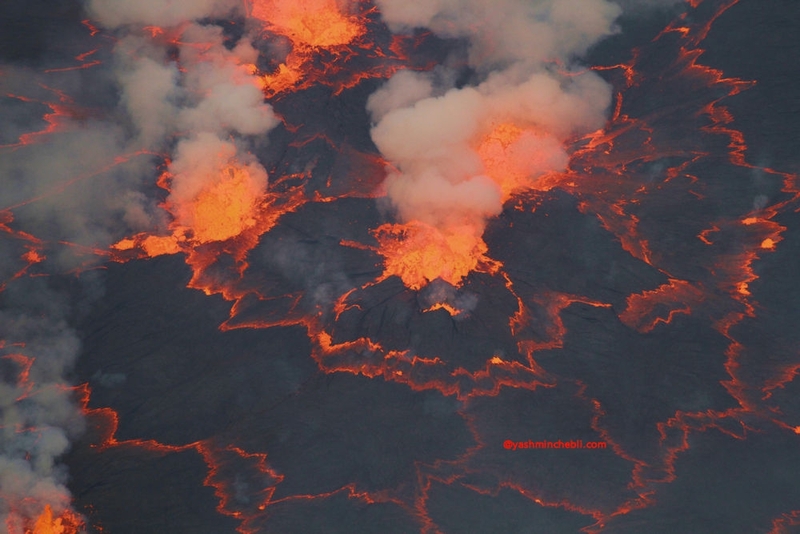 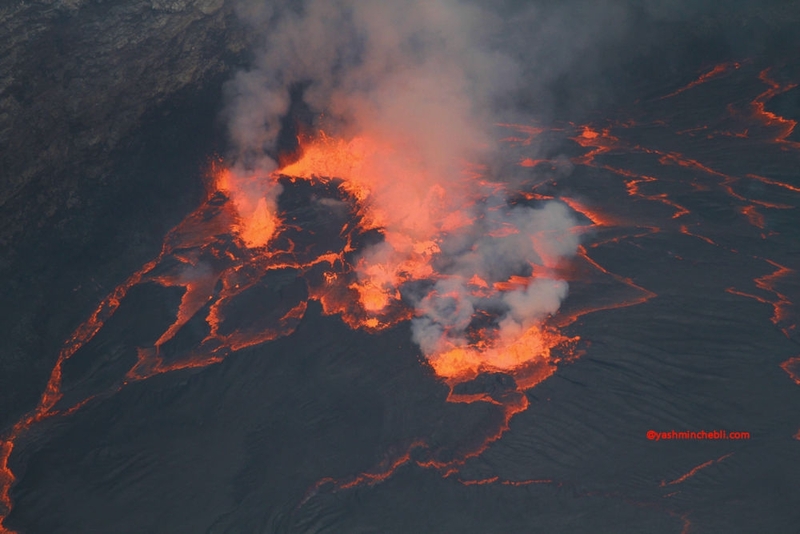 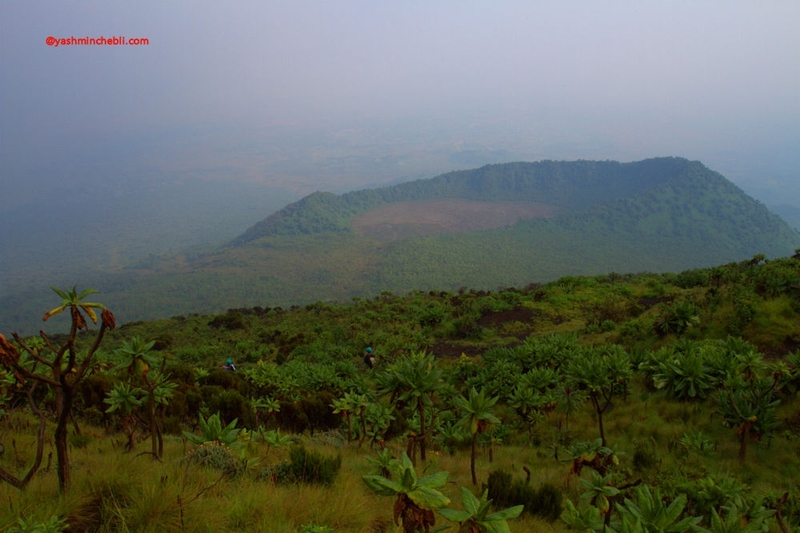 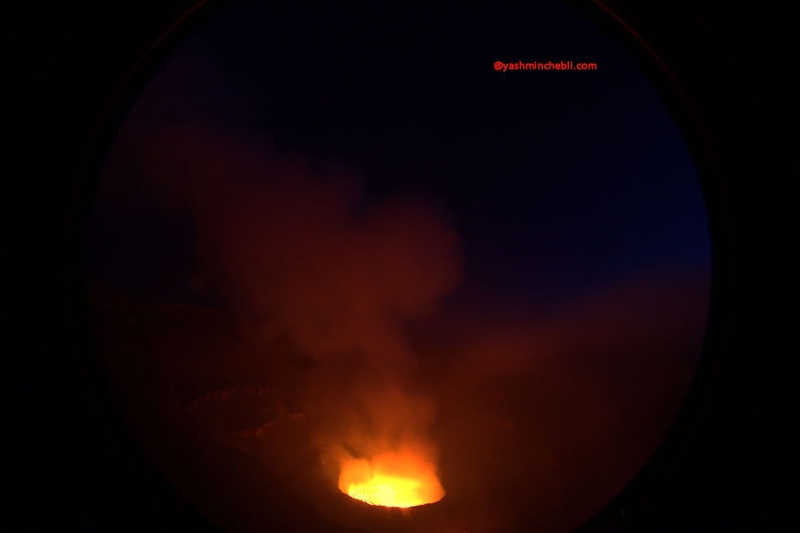 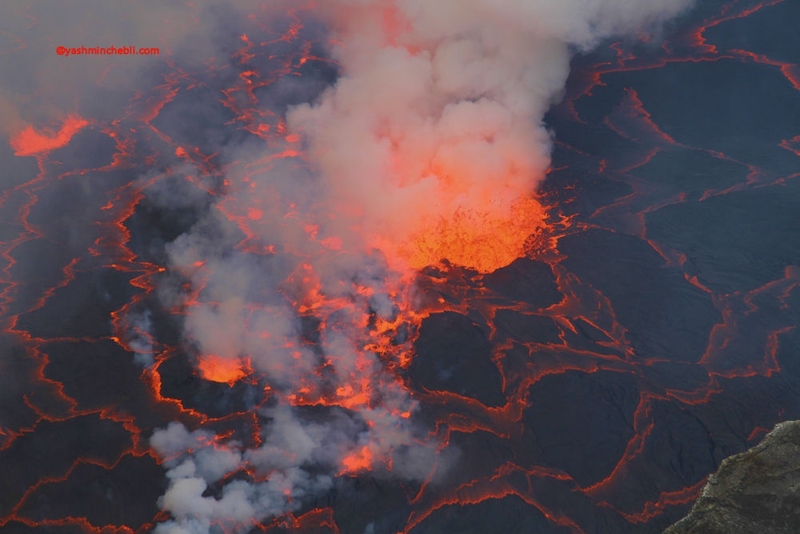 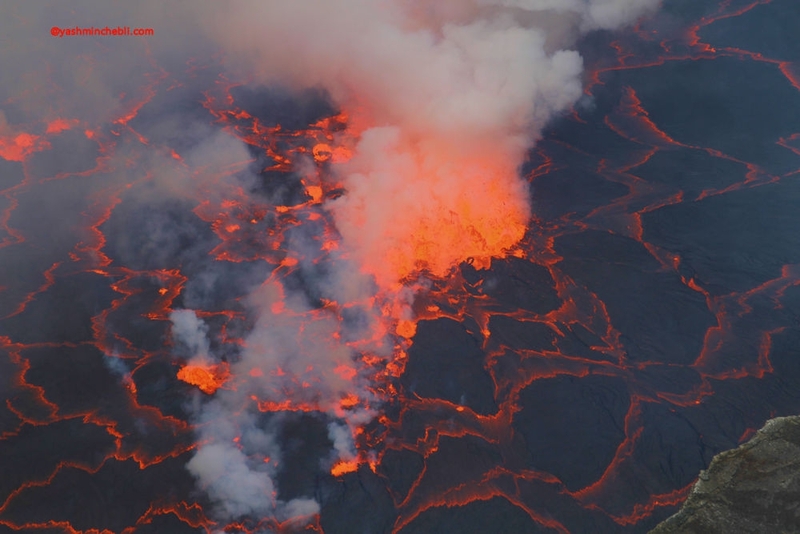 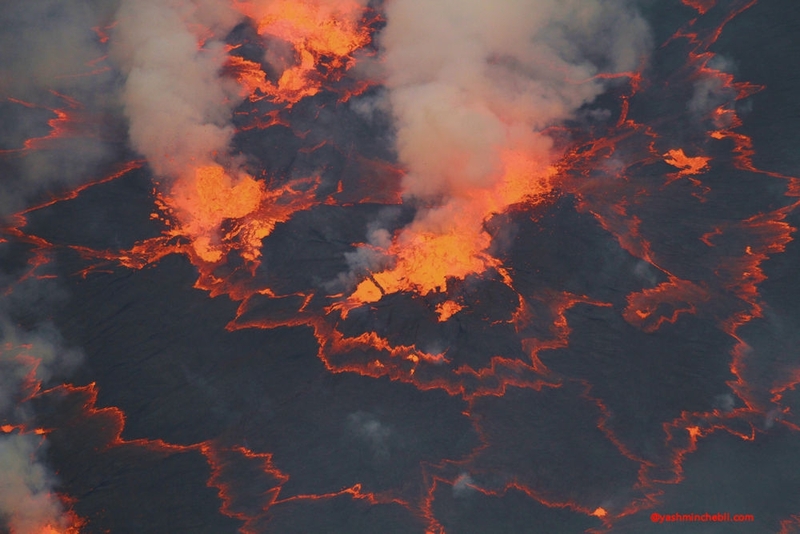 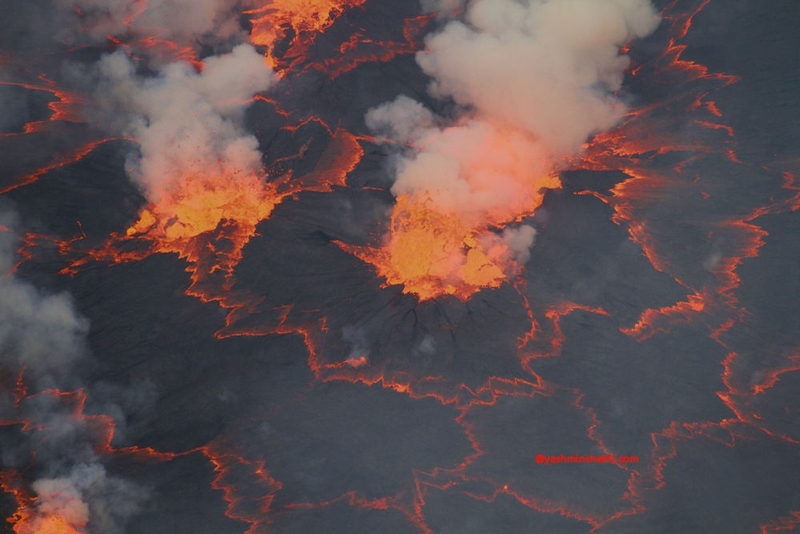 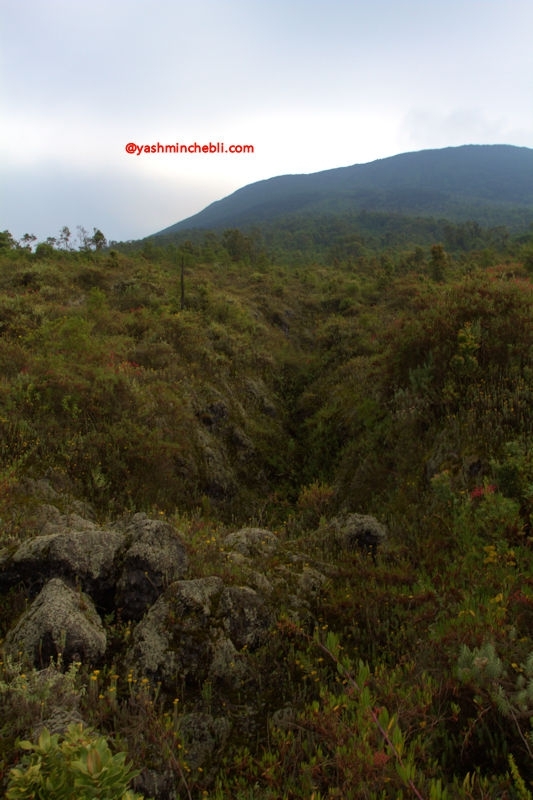 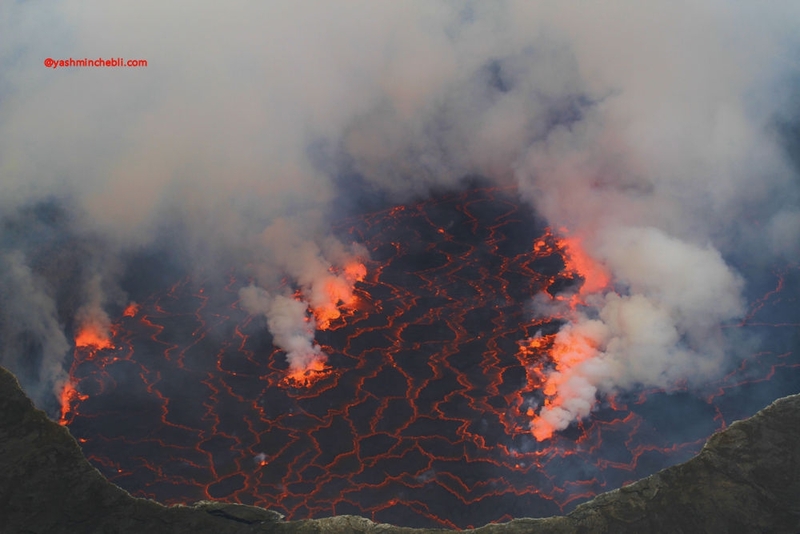 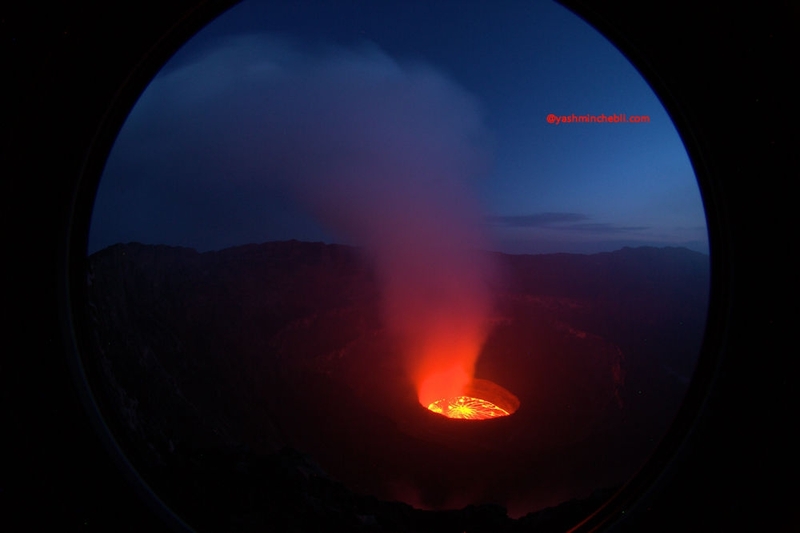 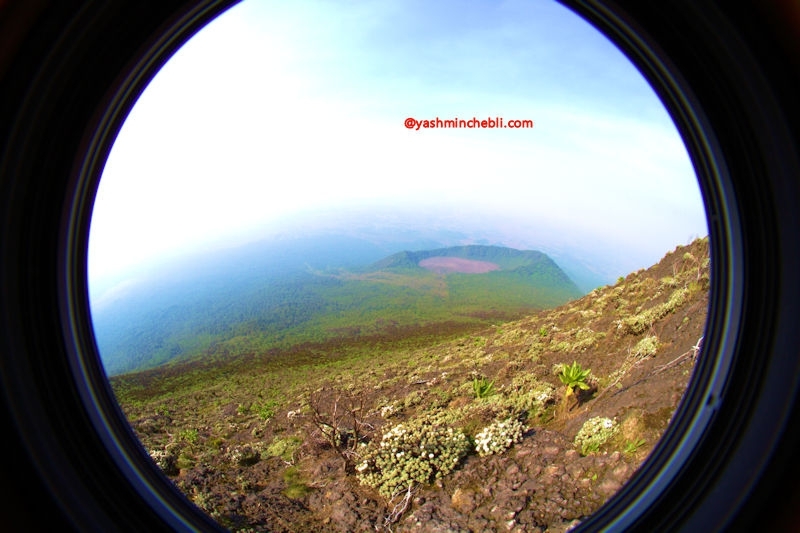 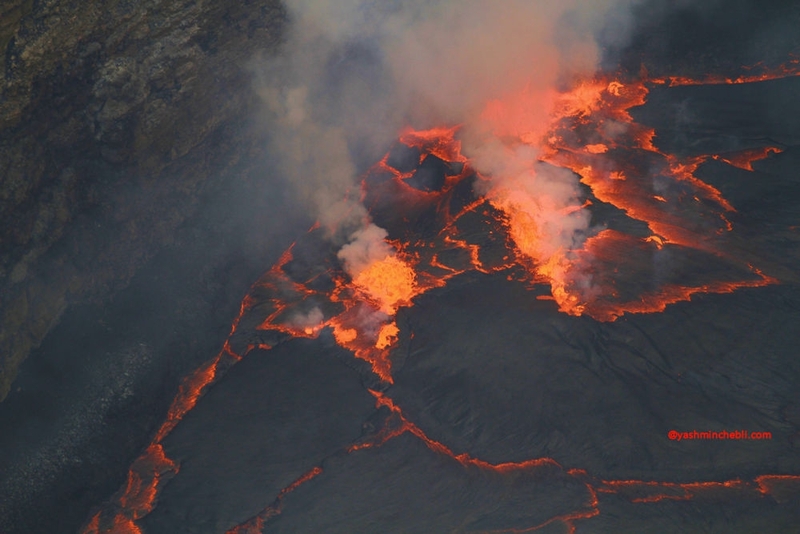 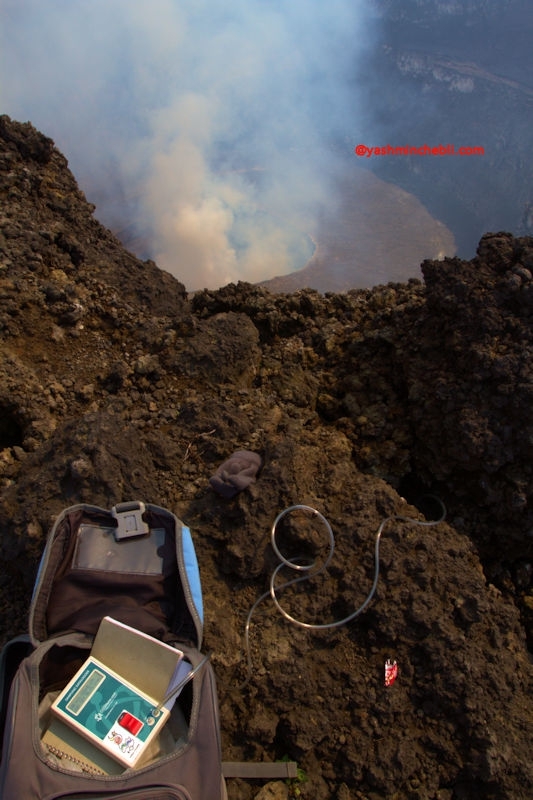 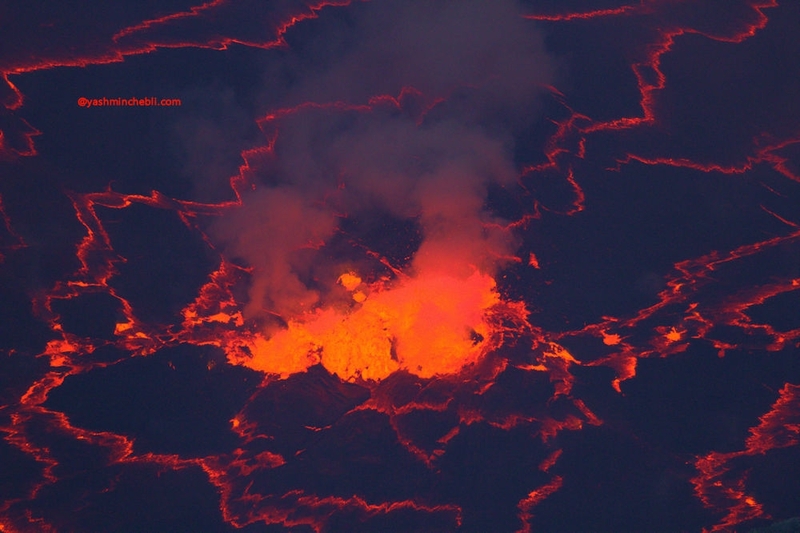 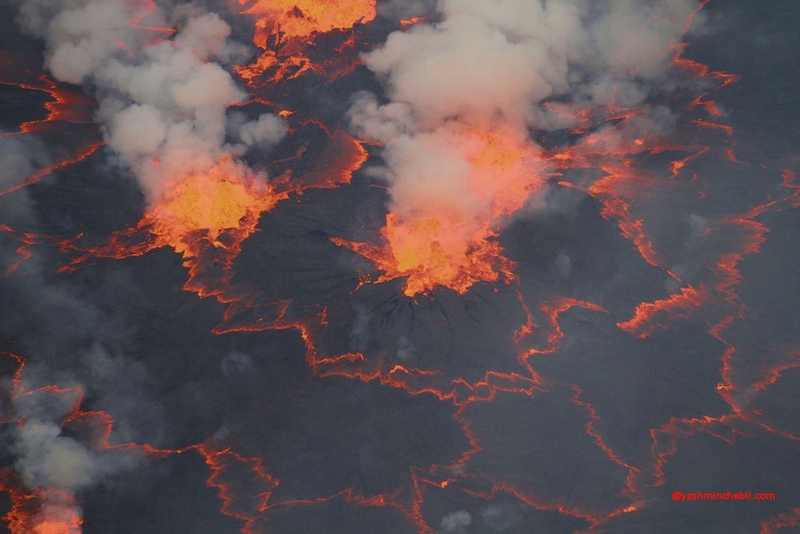 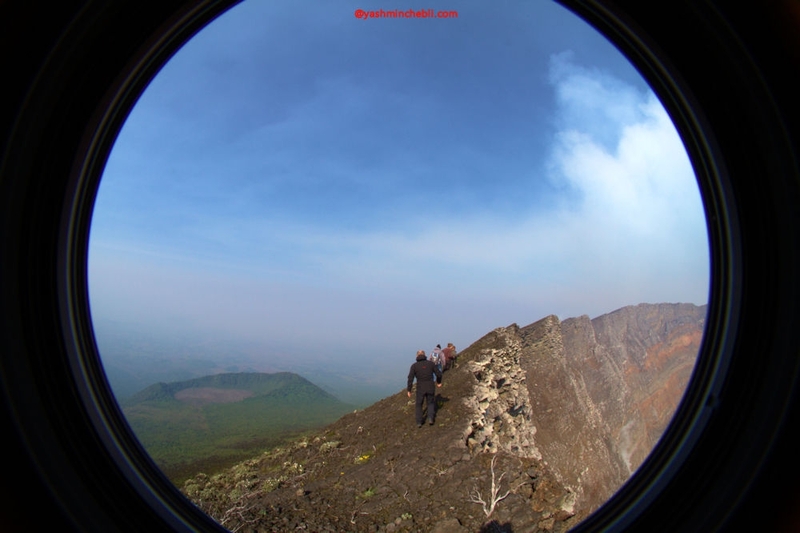 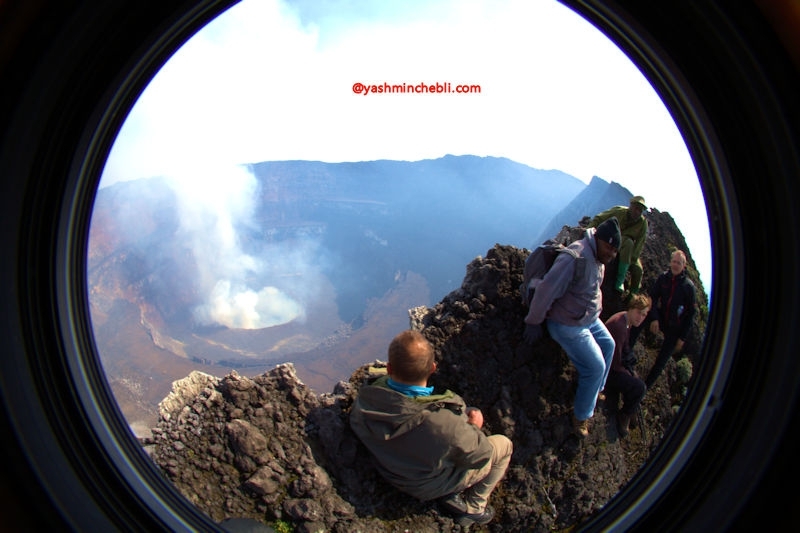 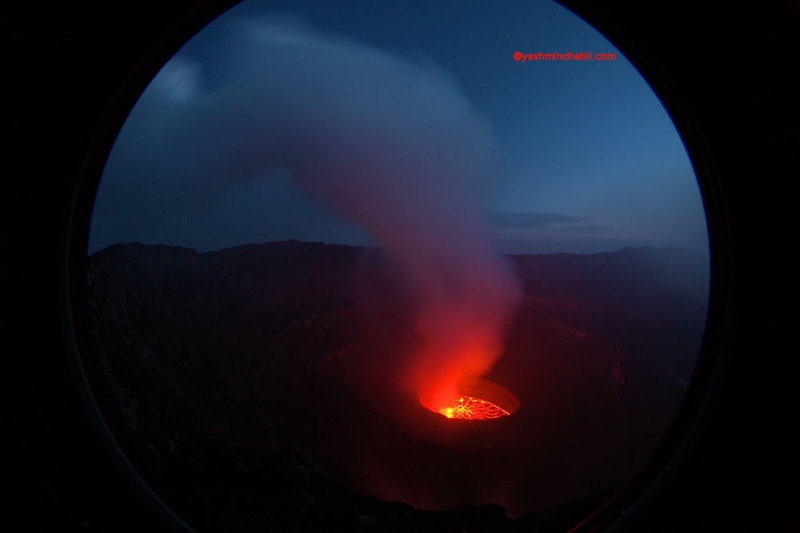 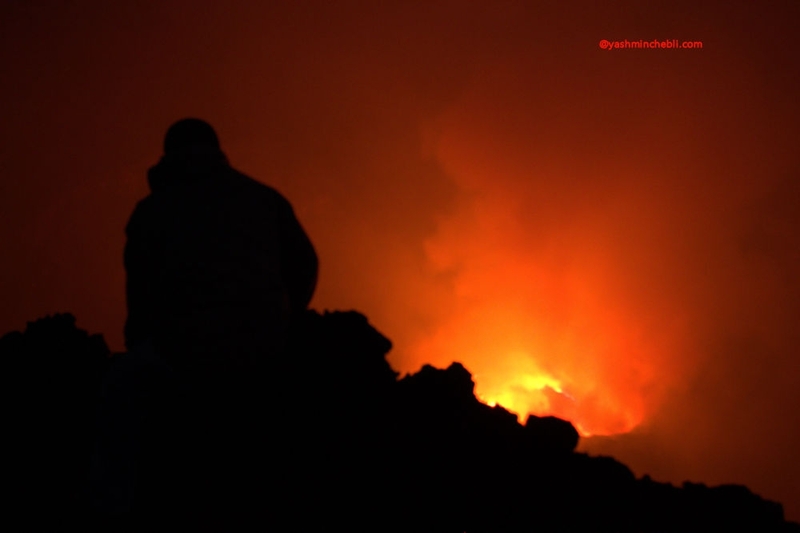 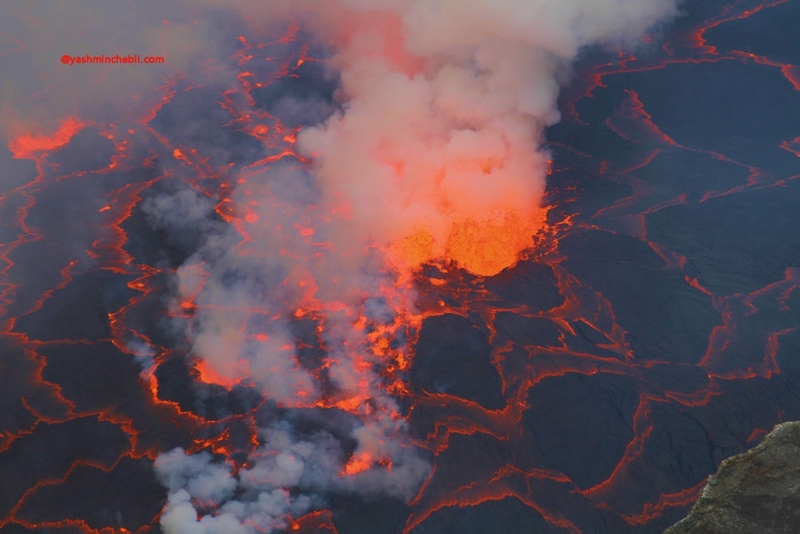 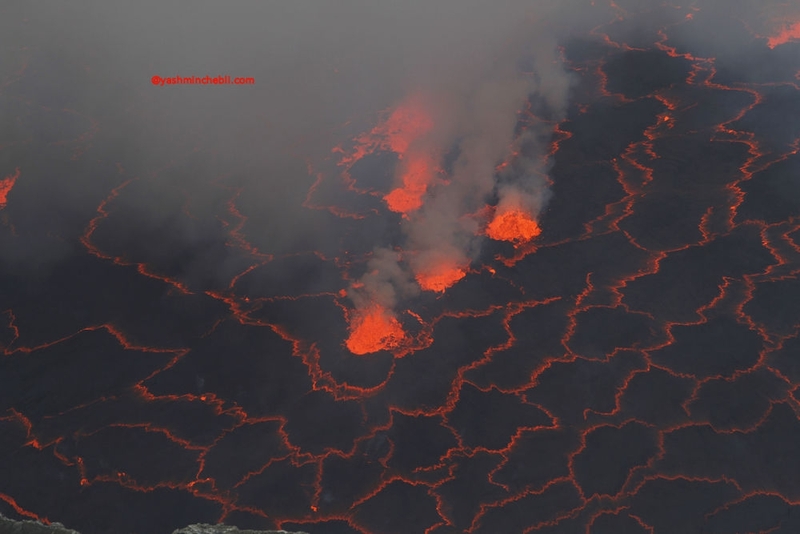 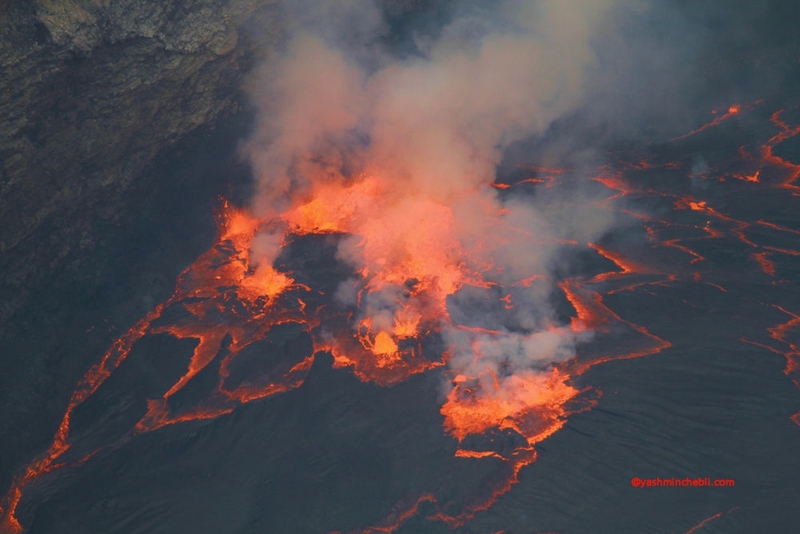 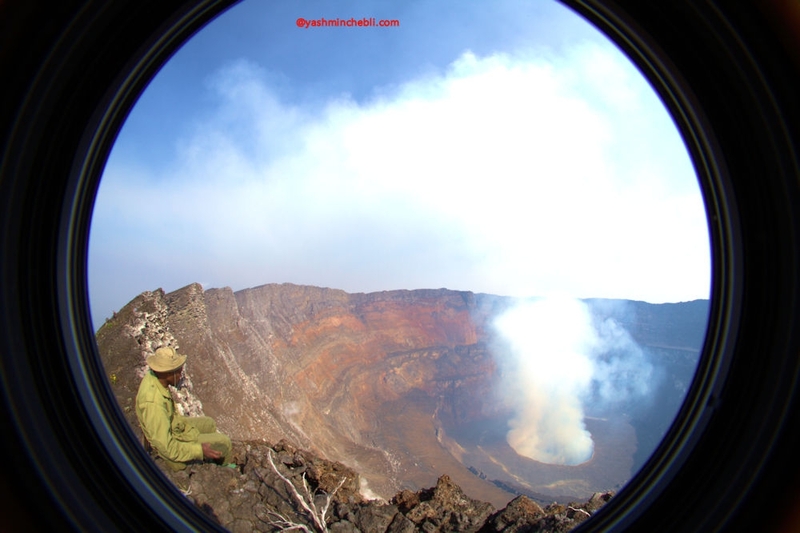 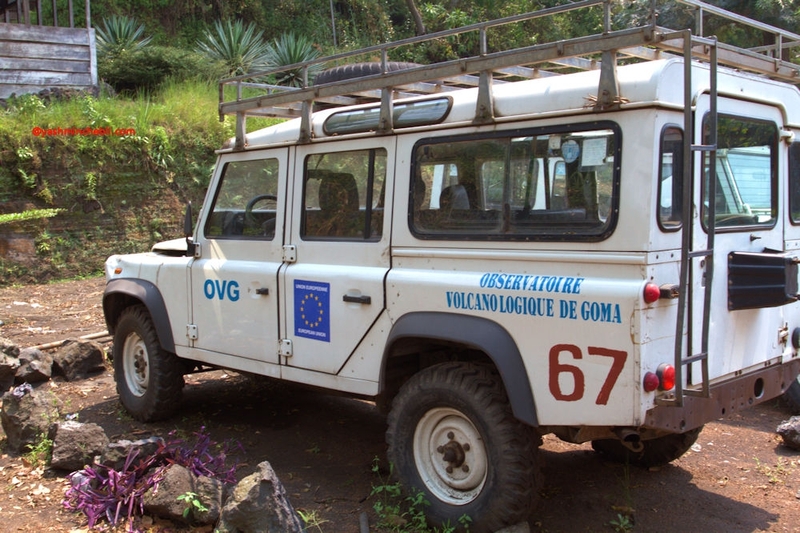 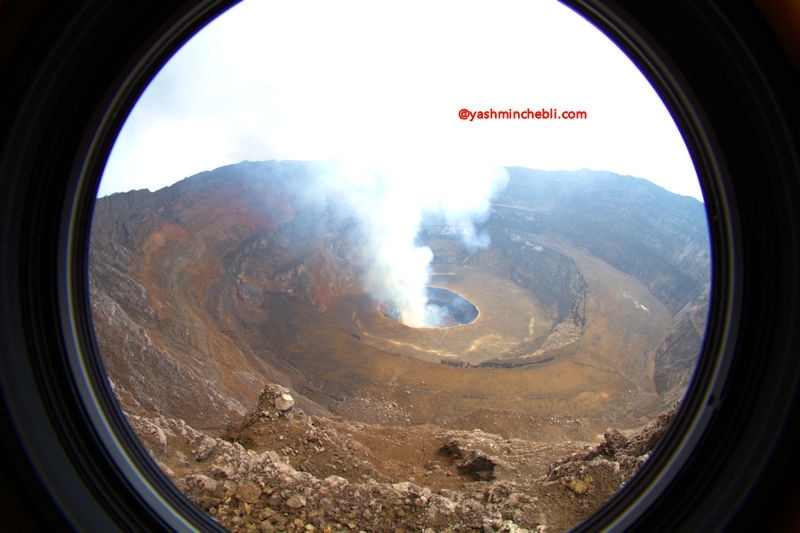 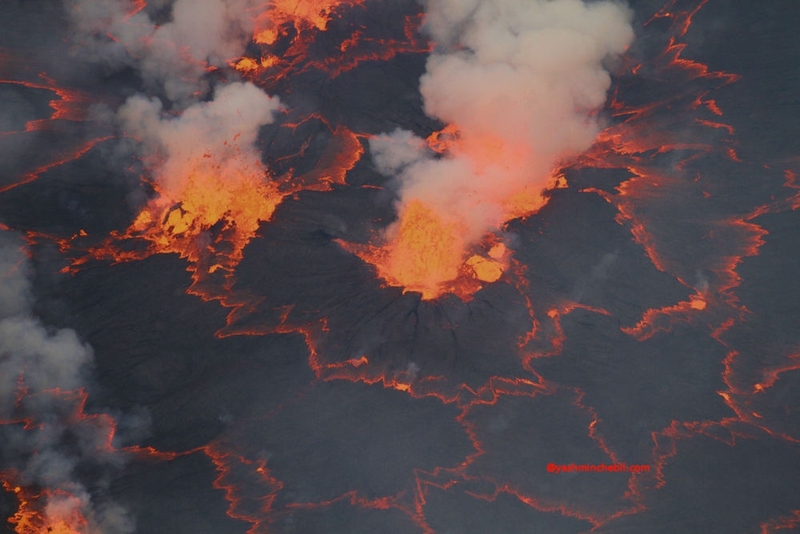 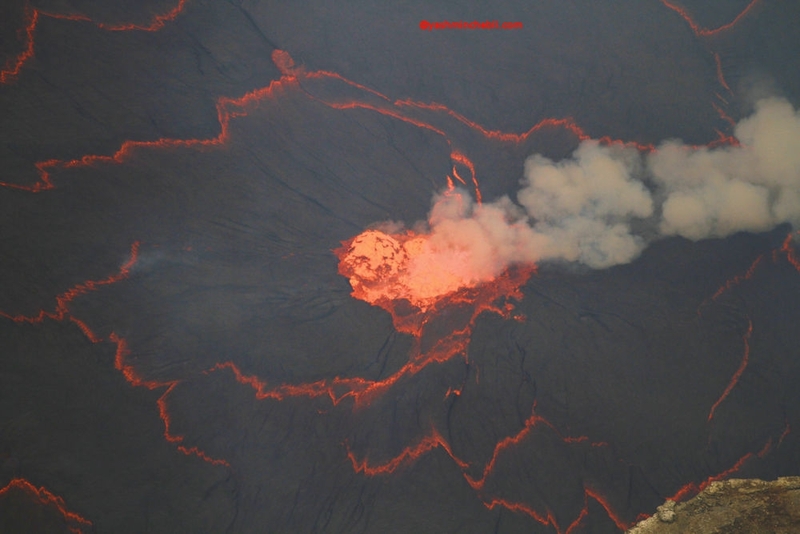 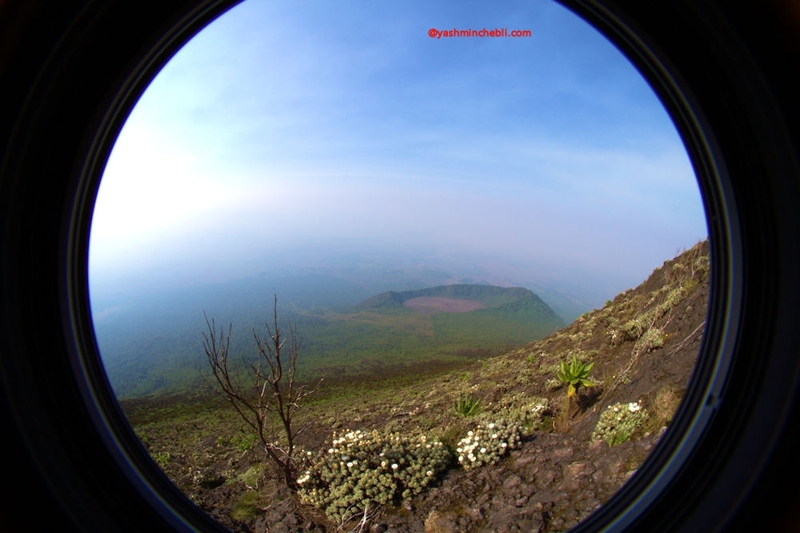 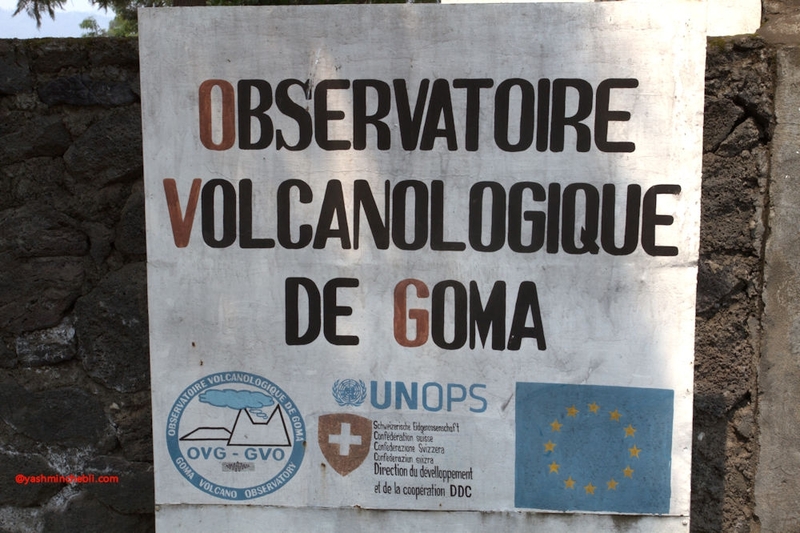 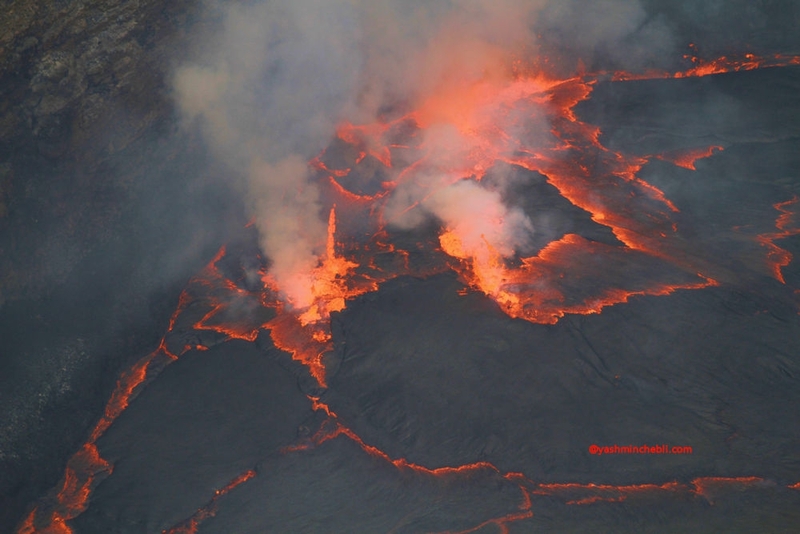 During the volcanological expedition of July 25th, 2015 on the volcanoes of the Virunga chain, the volcanologist guide Yashmin Chebli from the Volcanodiscovery team accompanied by a researcher of monitoring center of Goma observatory led a mission of control of the activity of the Nyiragongo volcano lava lake. 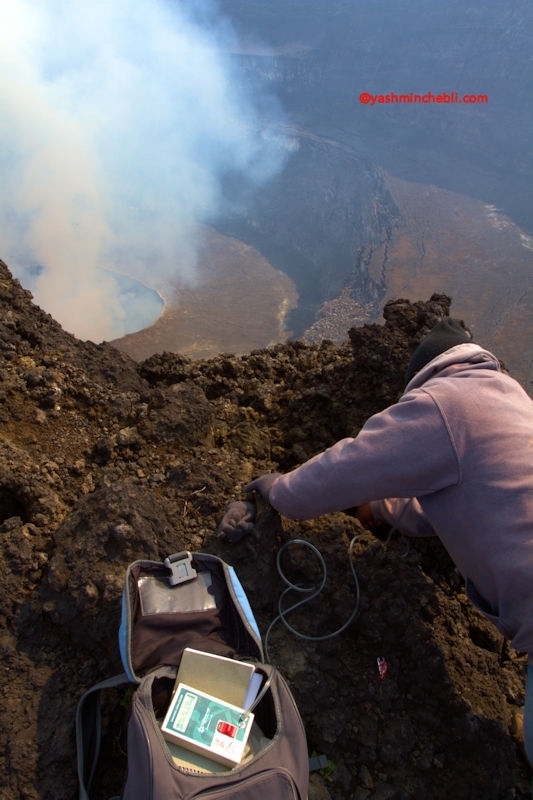 The group was able to assisted the statements of the various measurement stations of temperature and gas on the volcano. 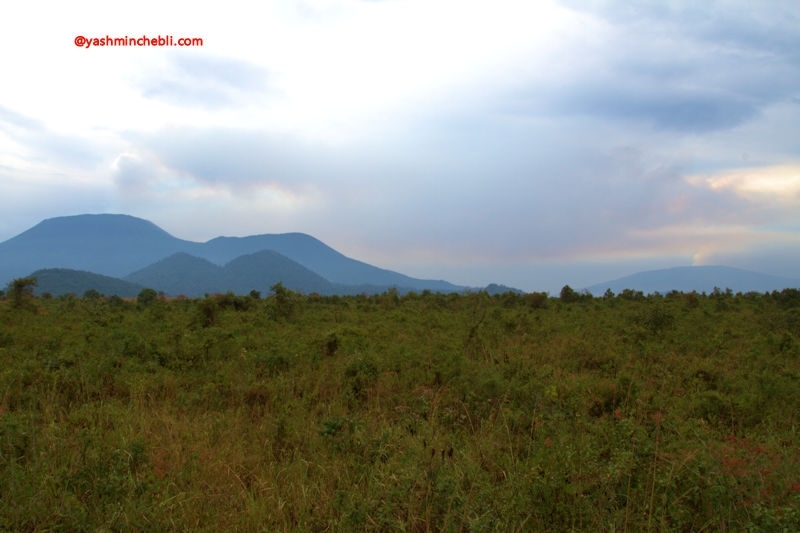 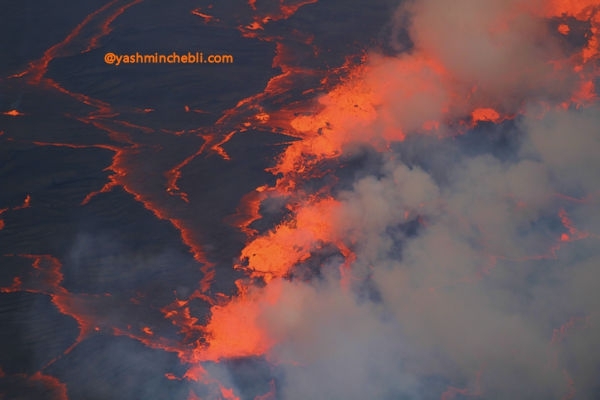 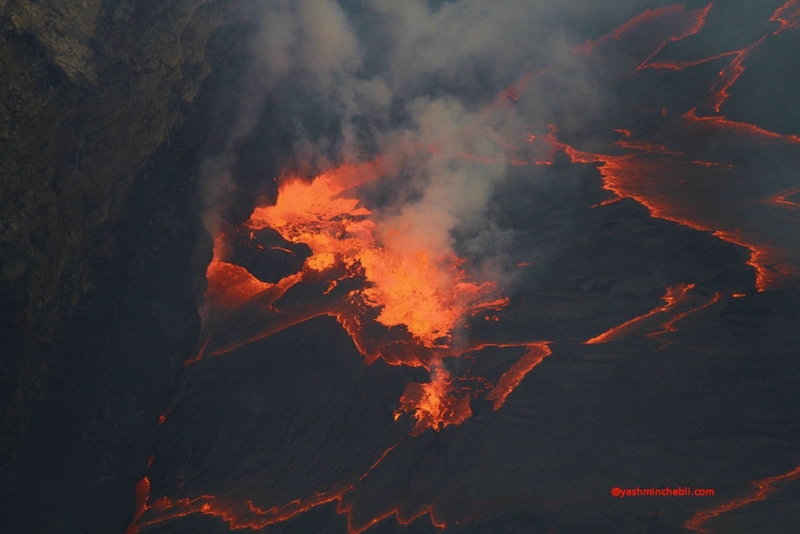 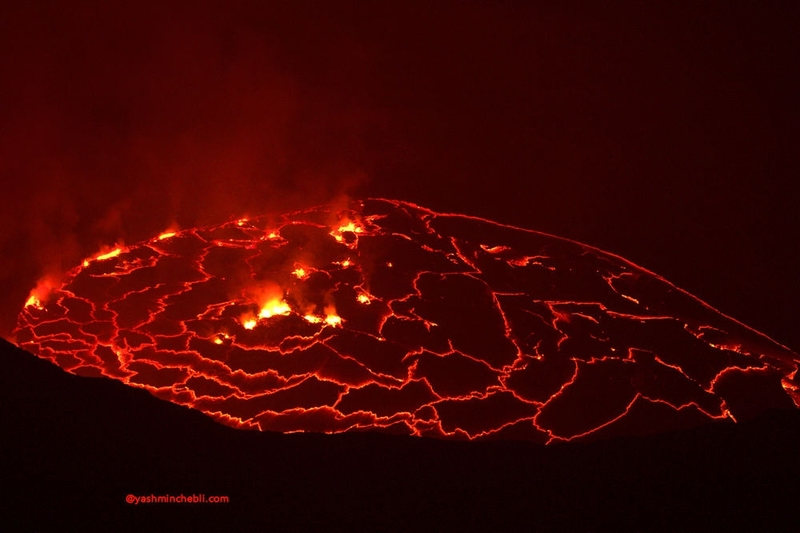 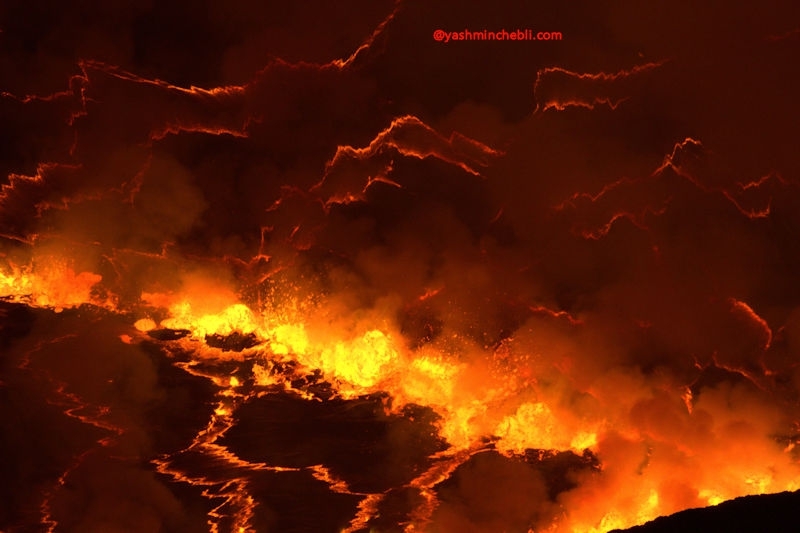 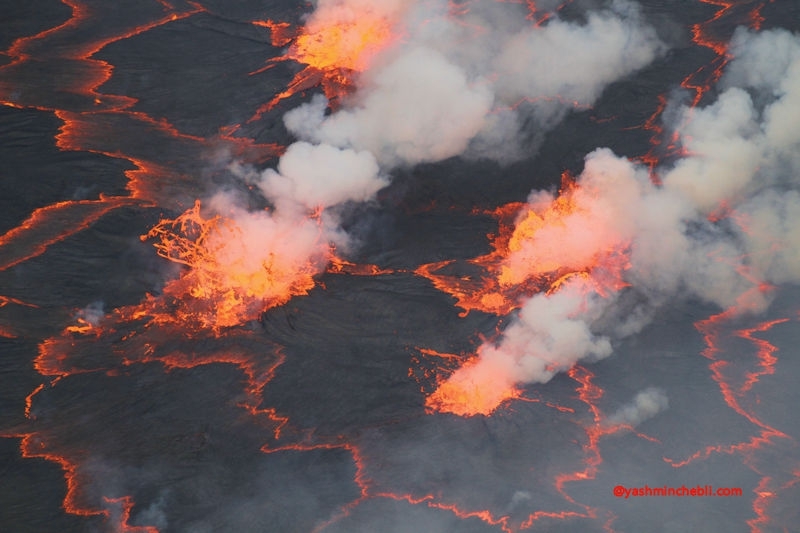 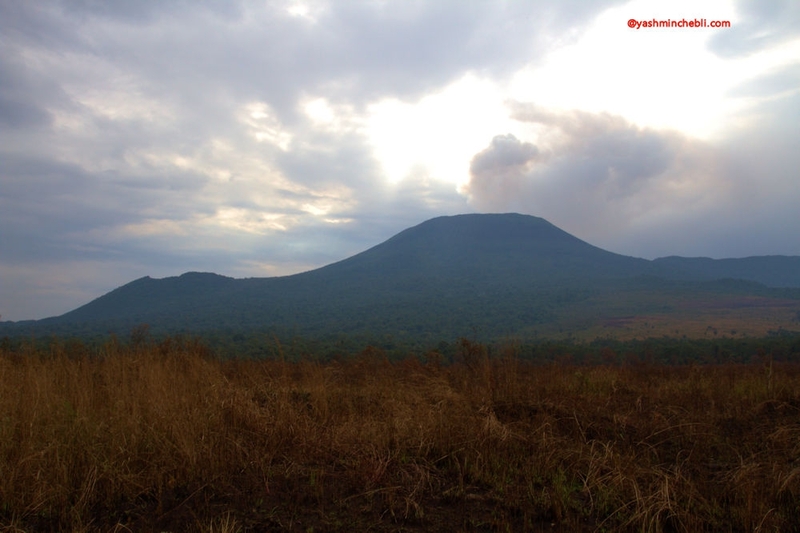 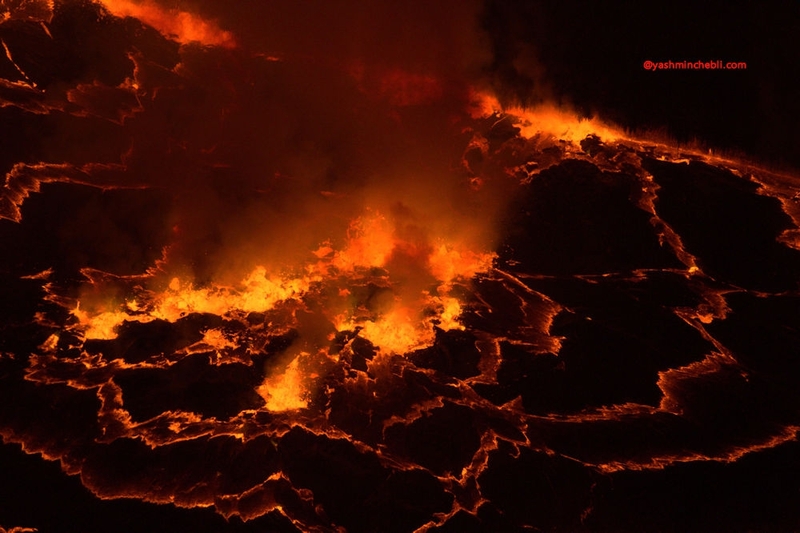 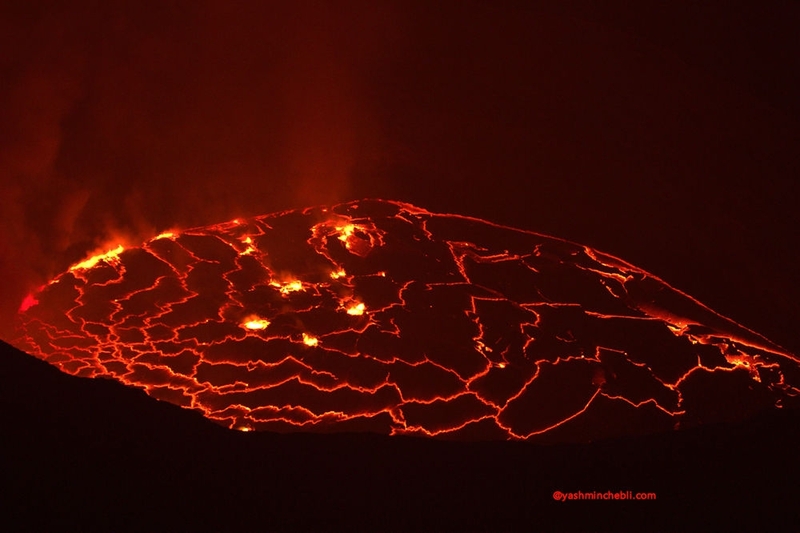 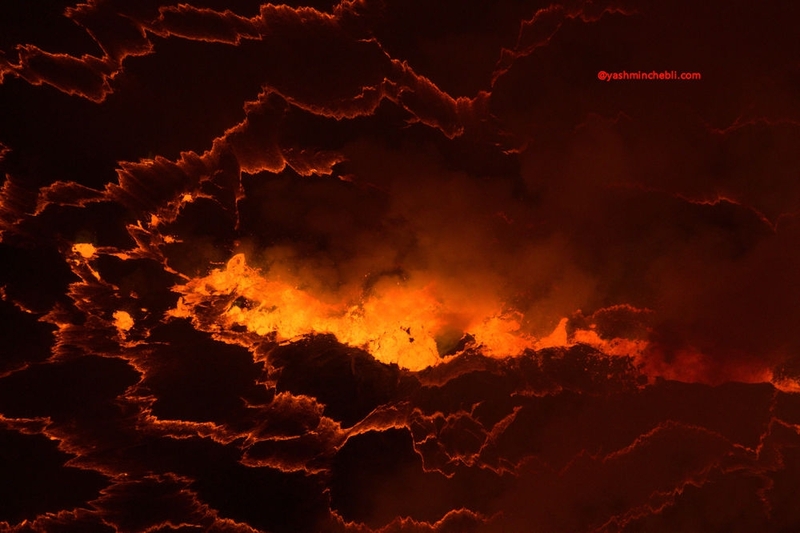 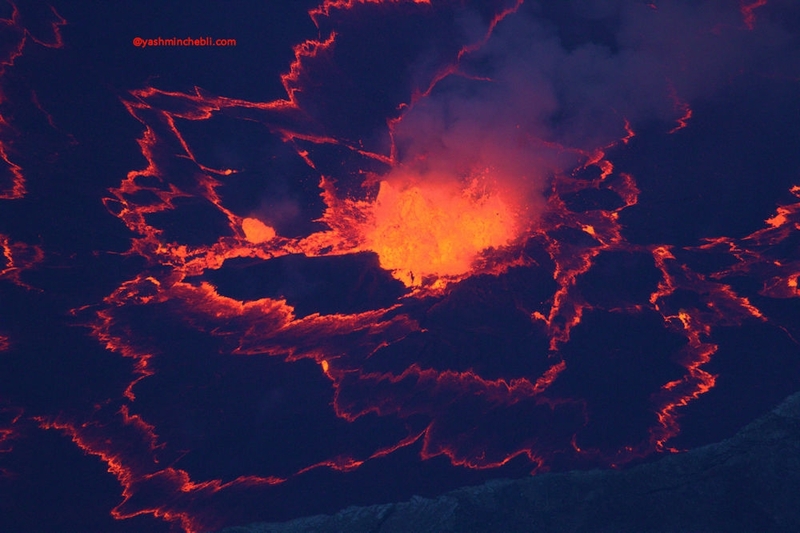 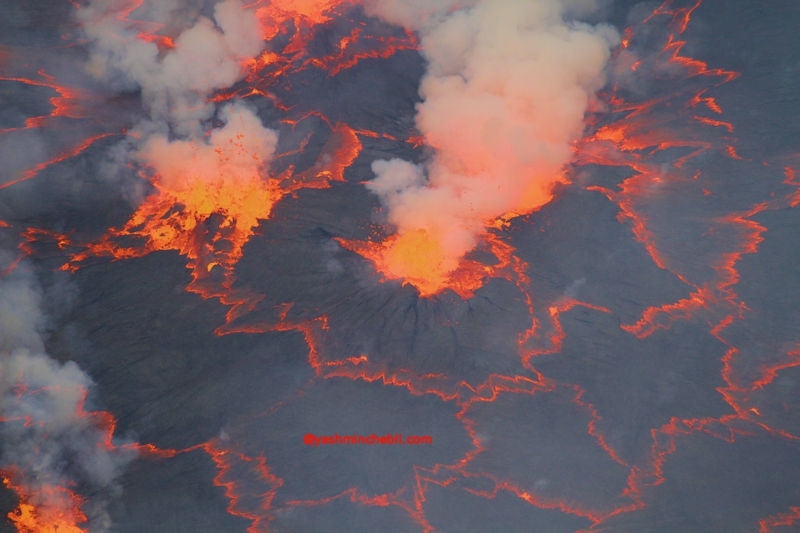 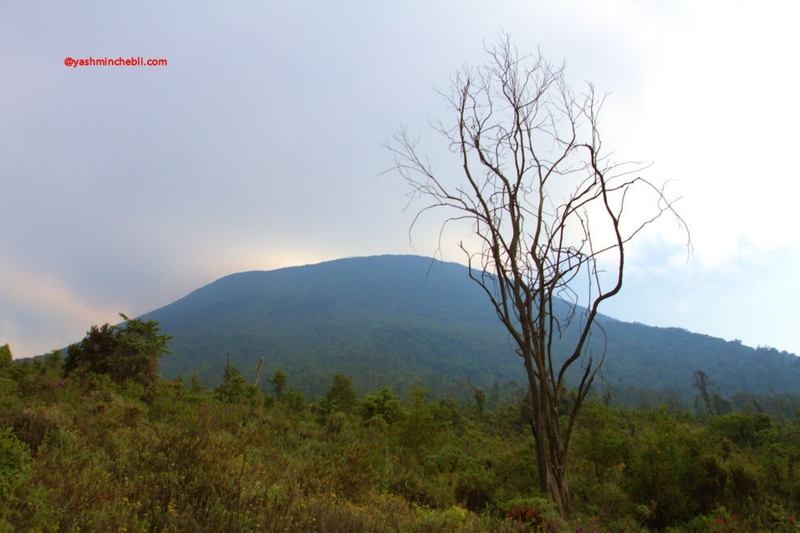 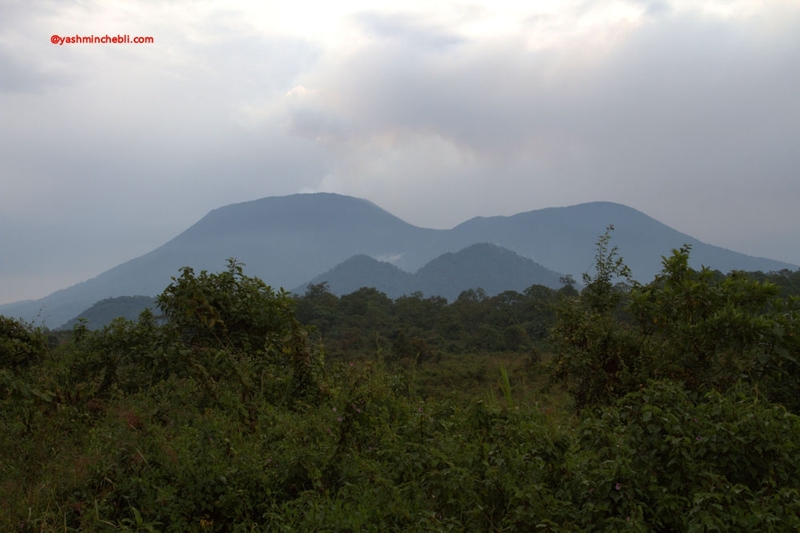 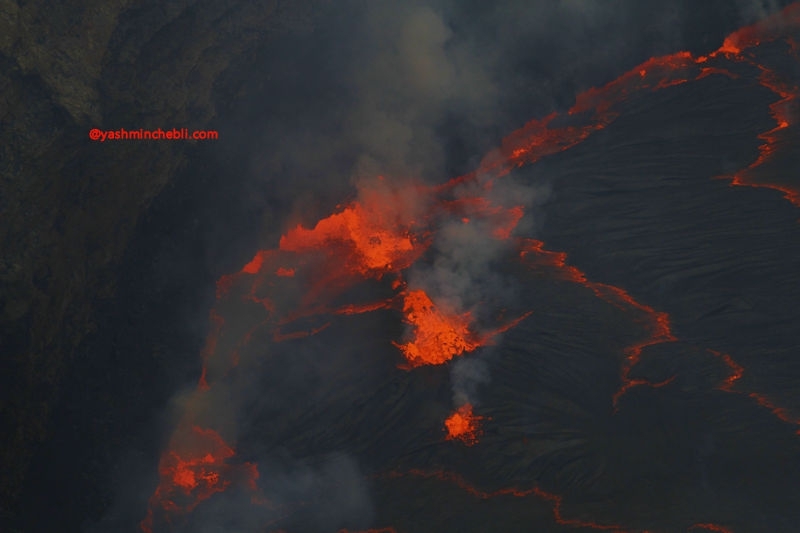 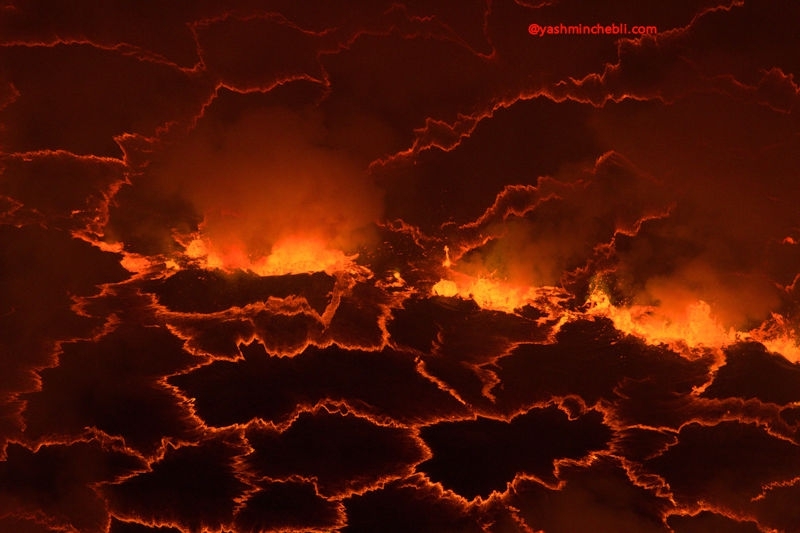 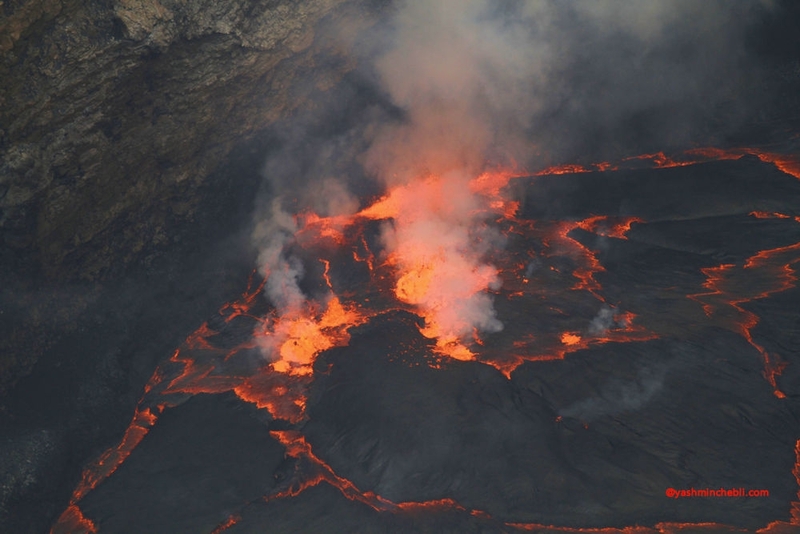 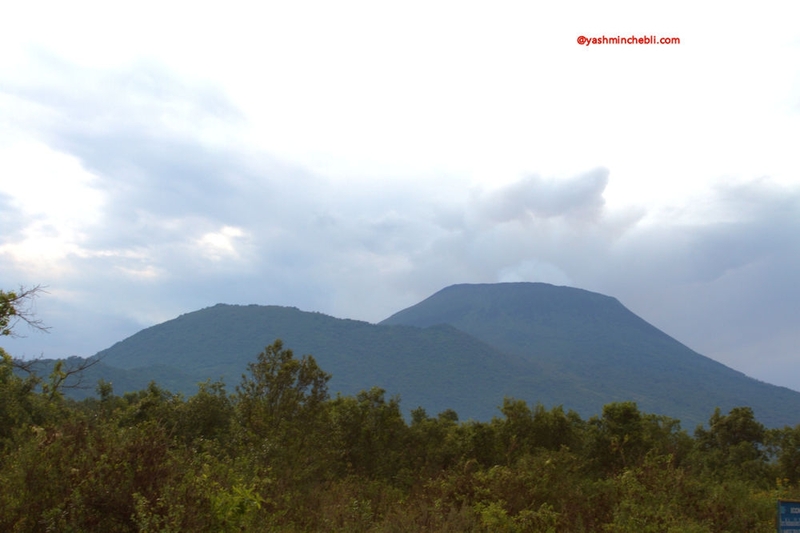 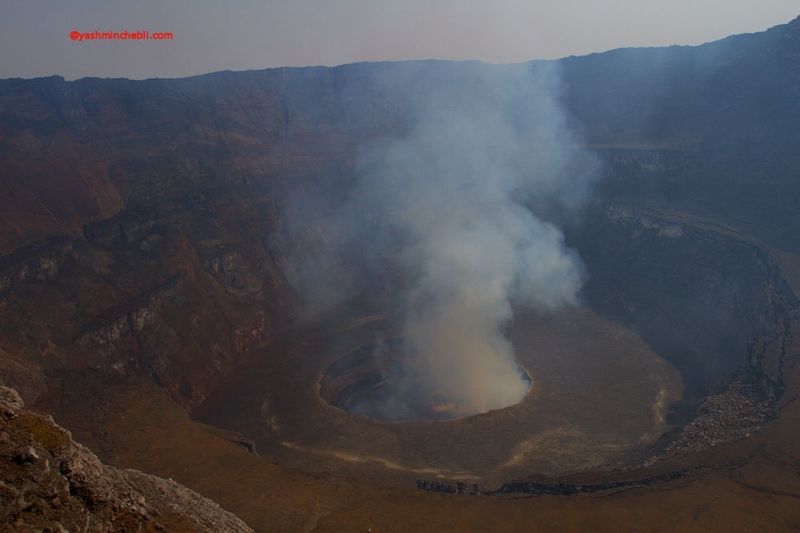 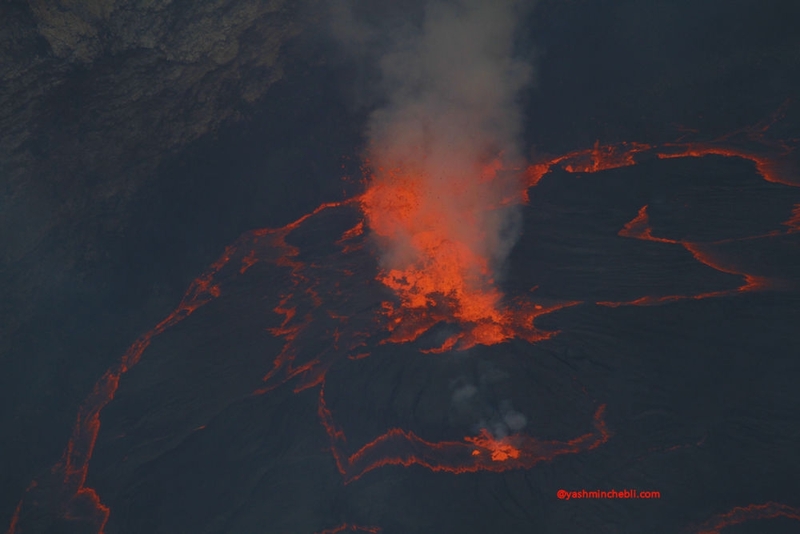 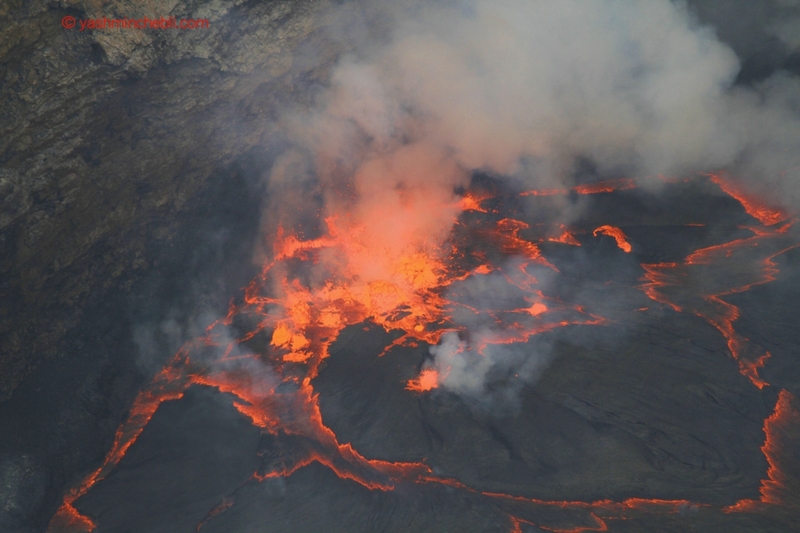 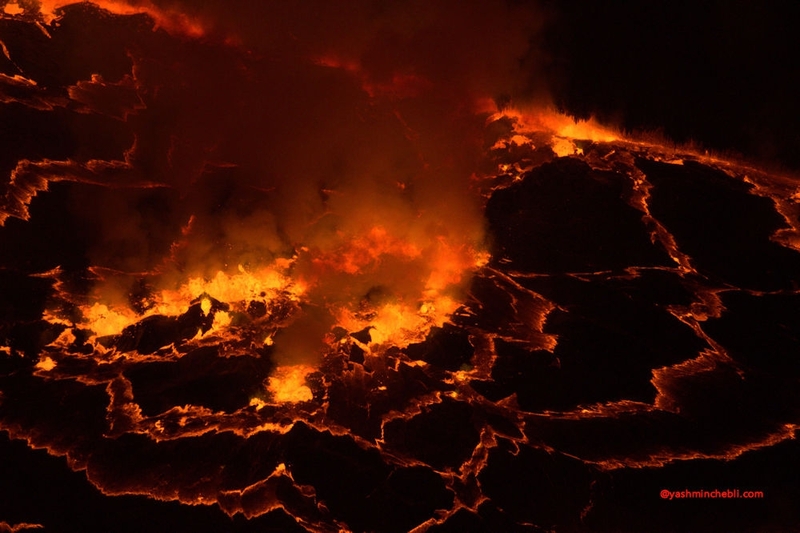 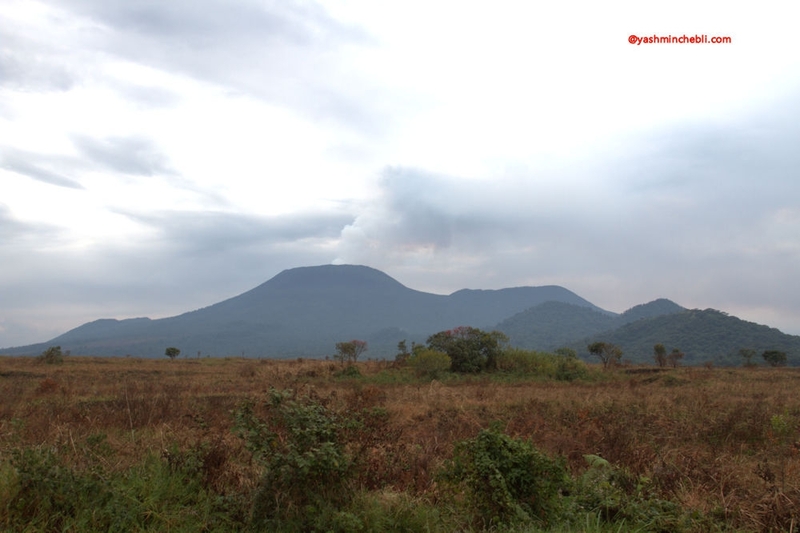 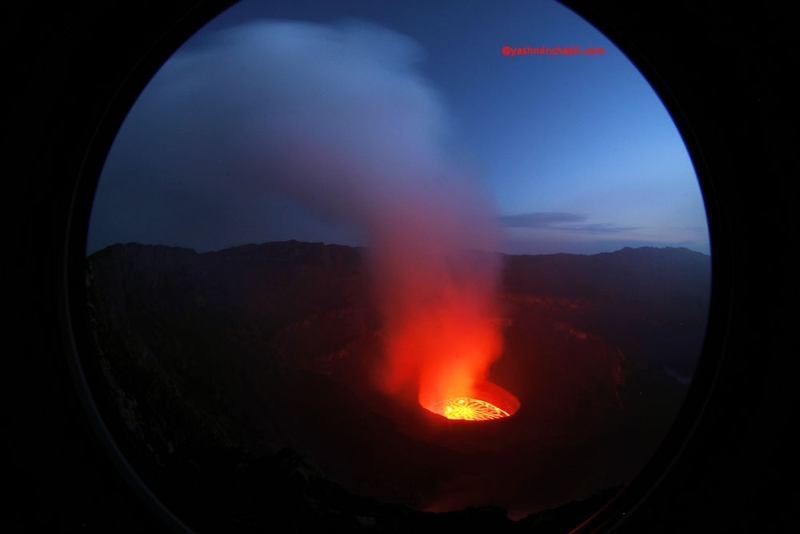 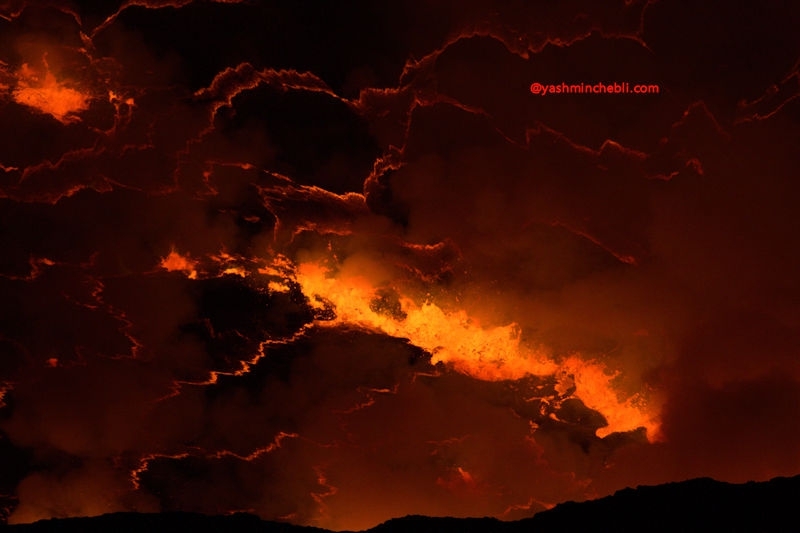 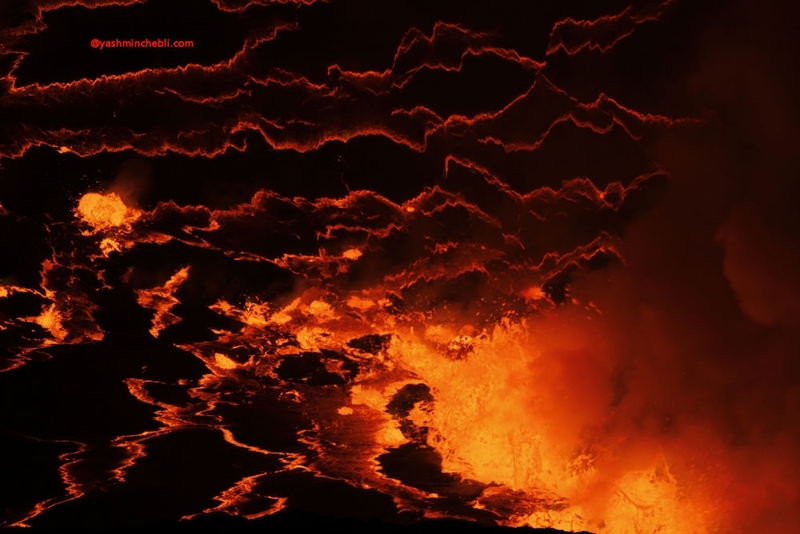 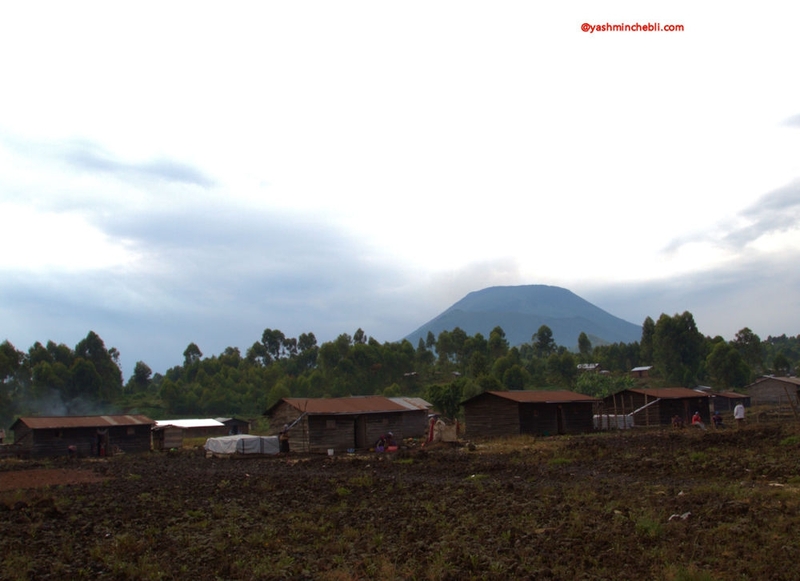 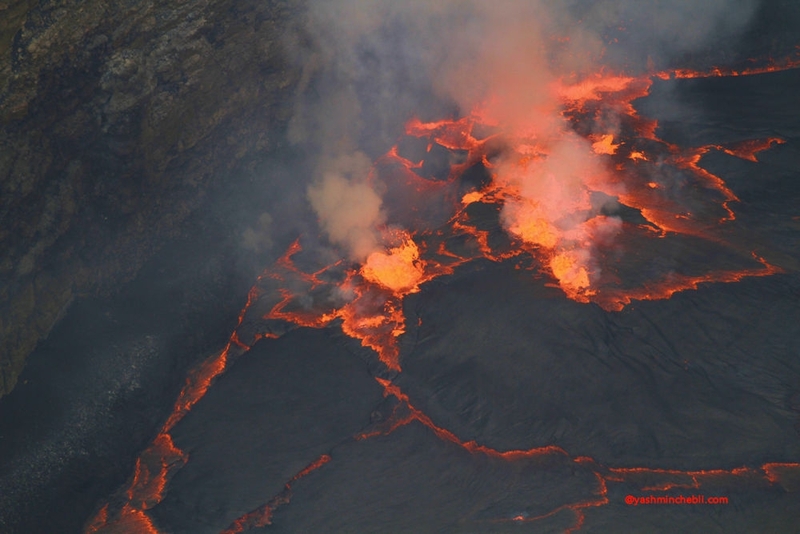 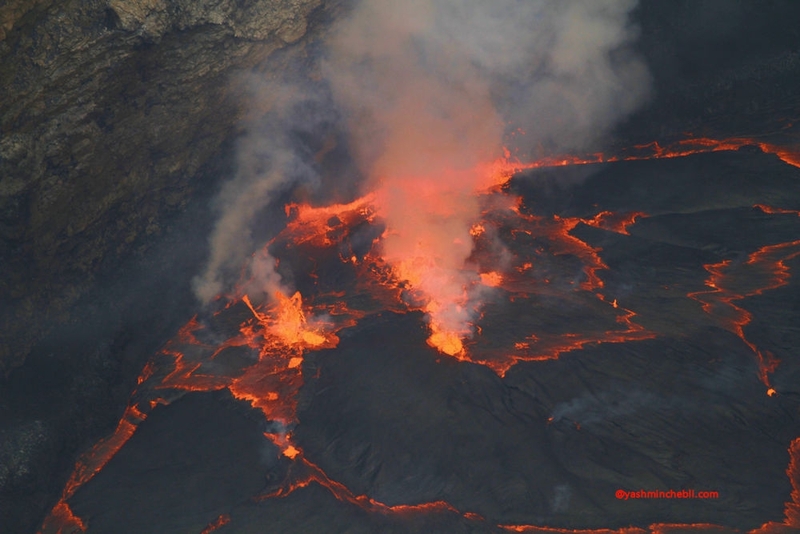 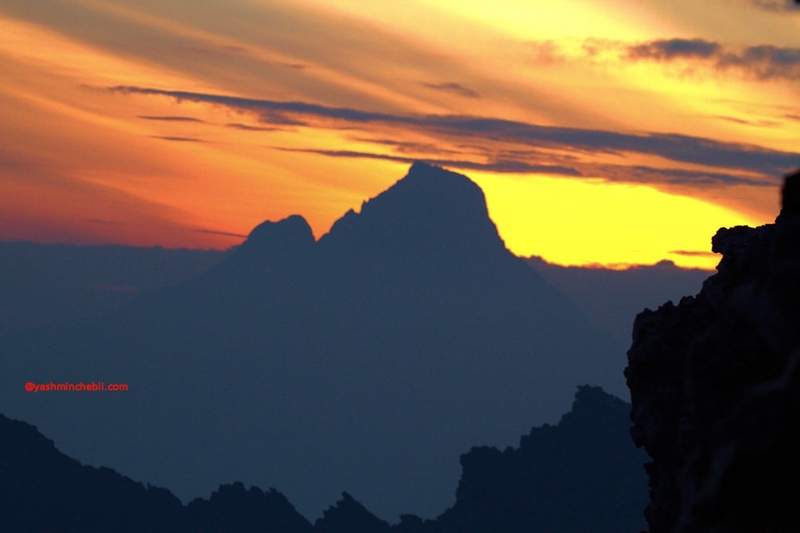 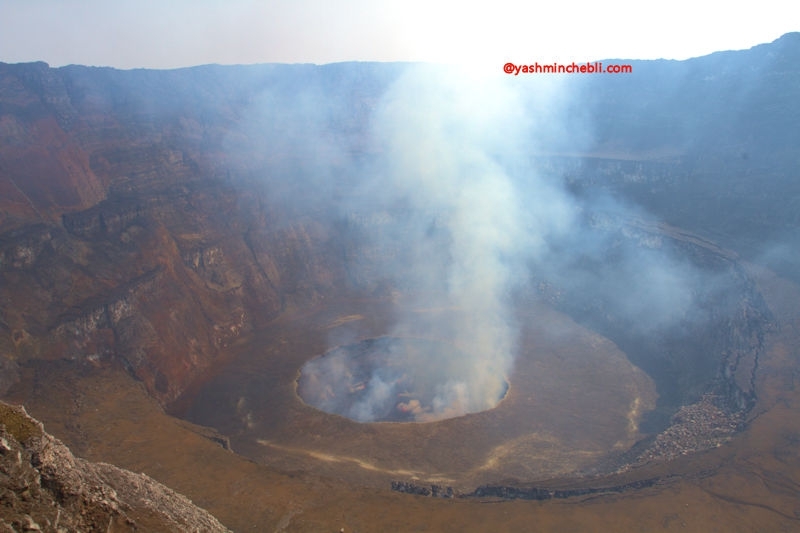 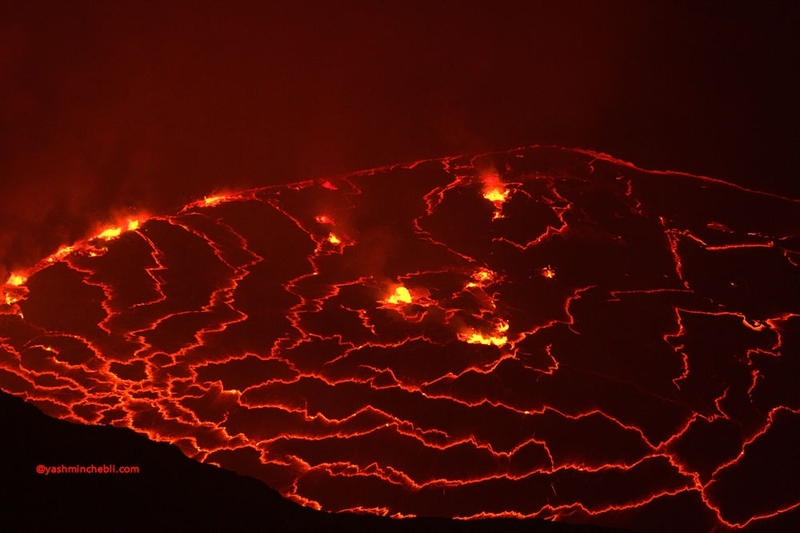 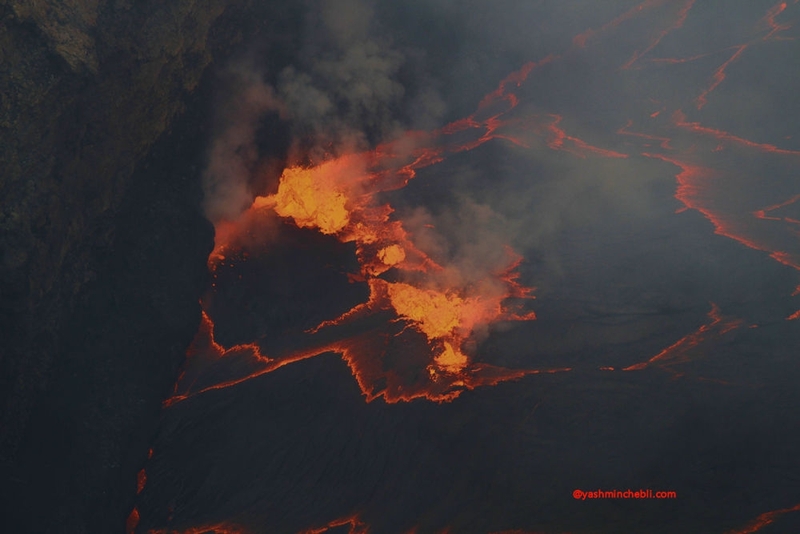 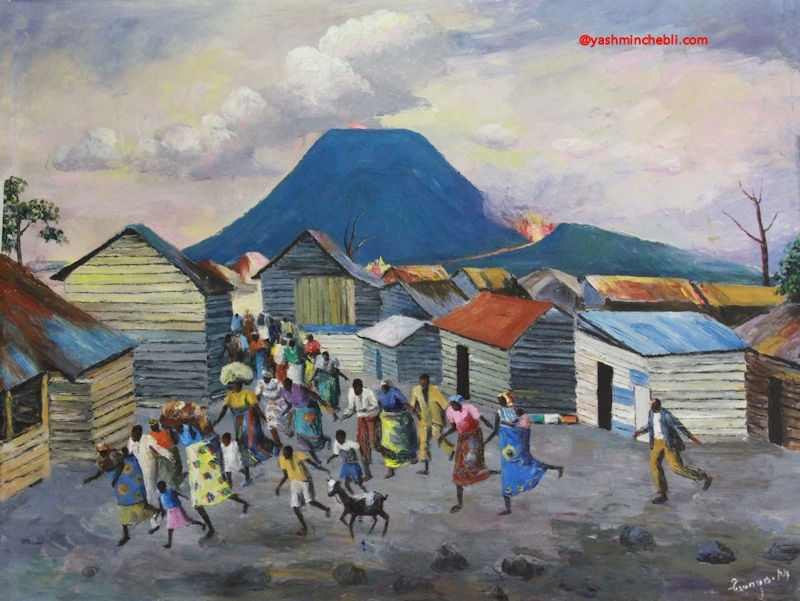 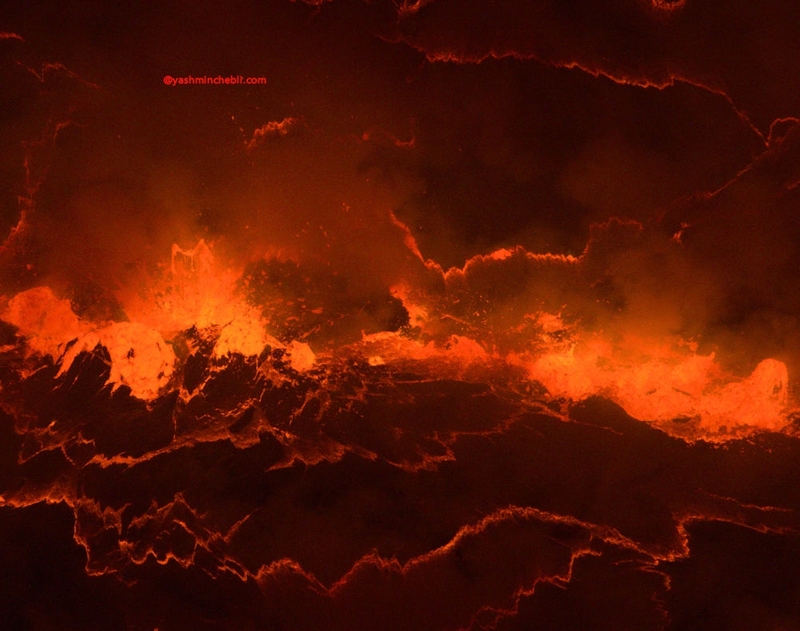 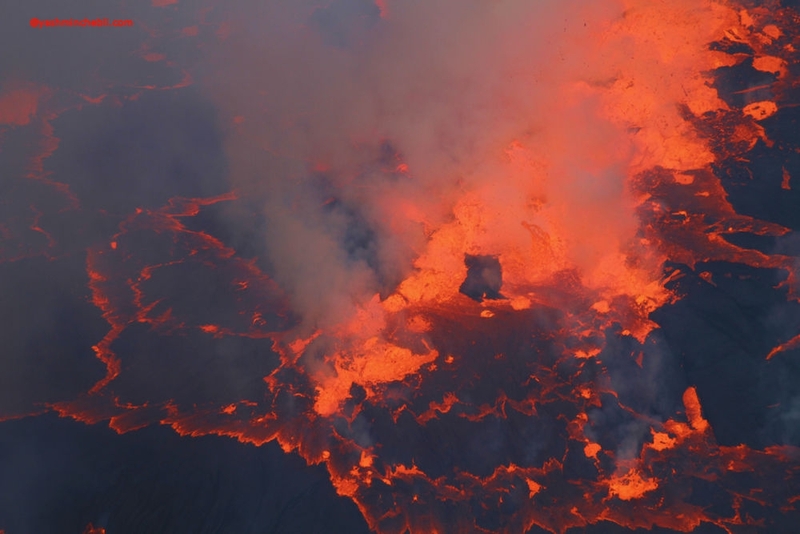 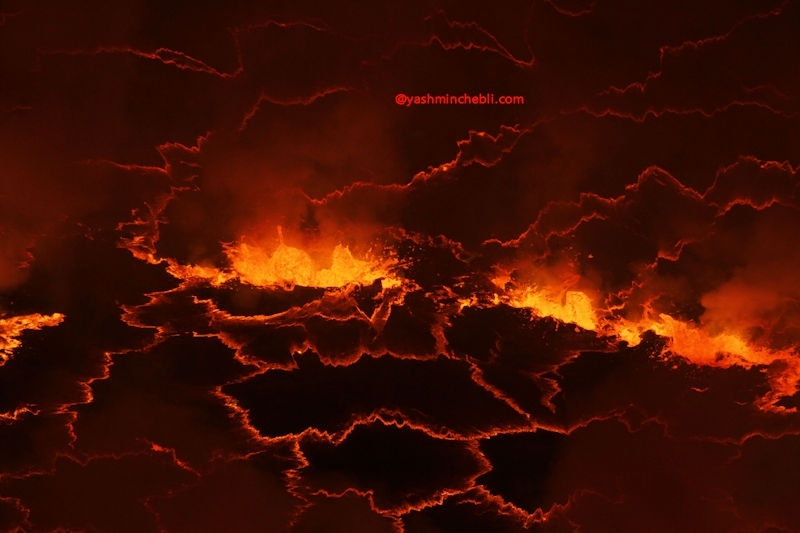 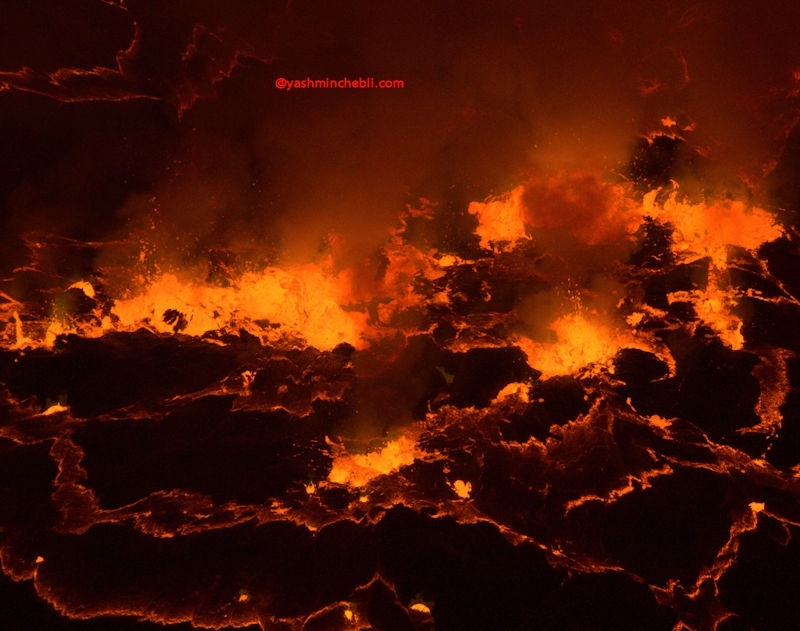 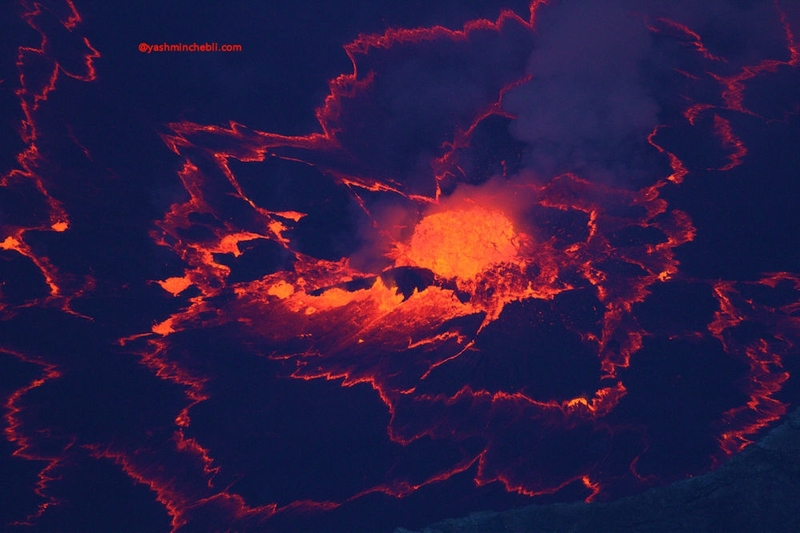 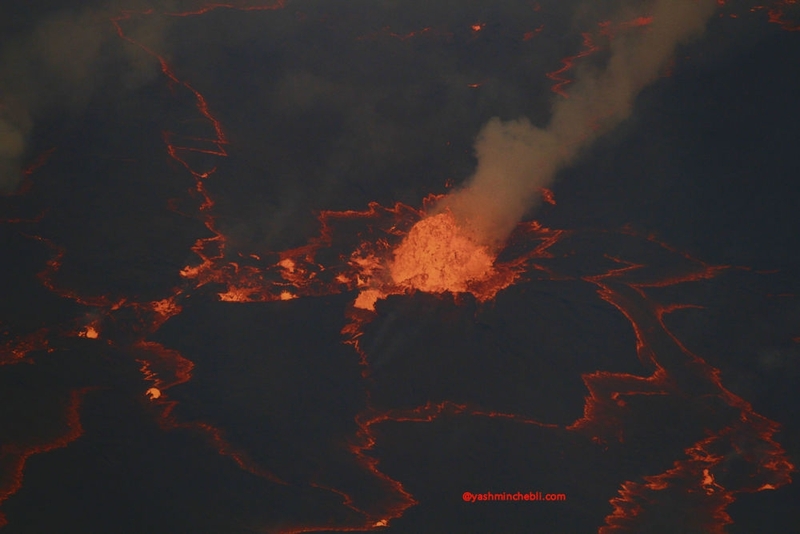 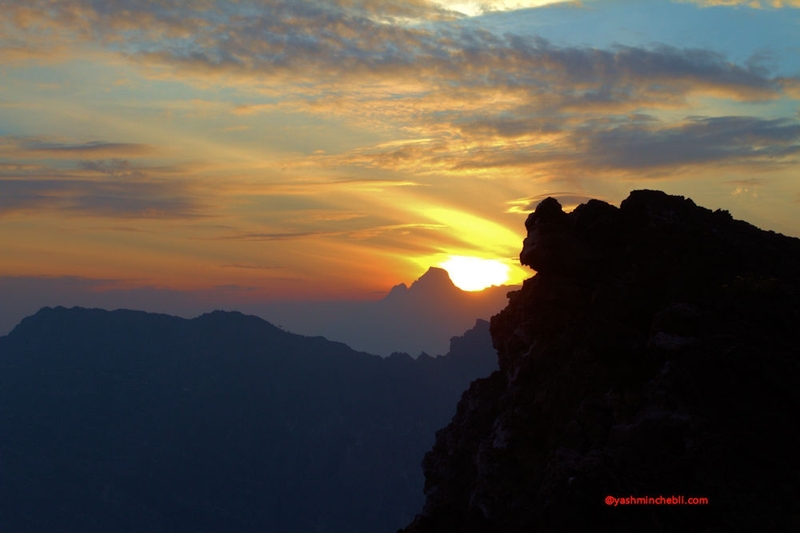 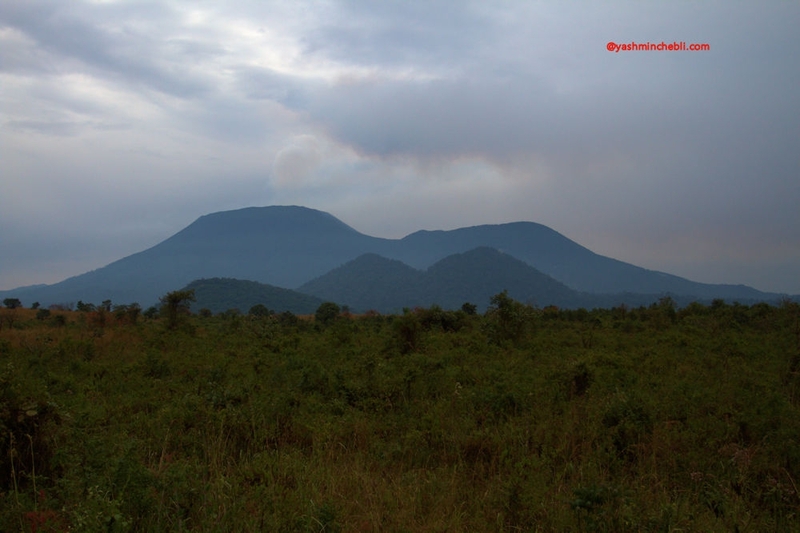 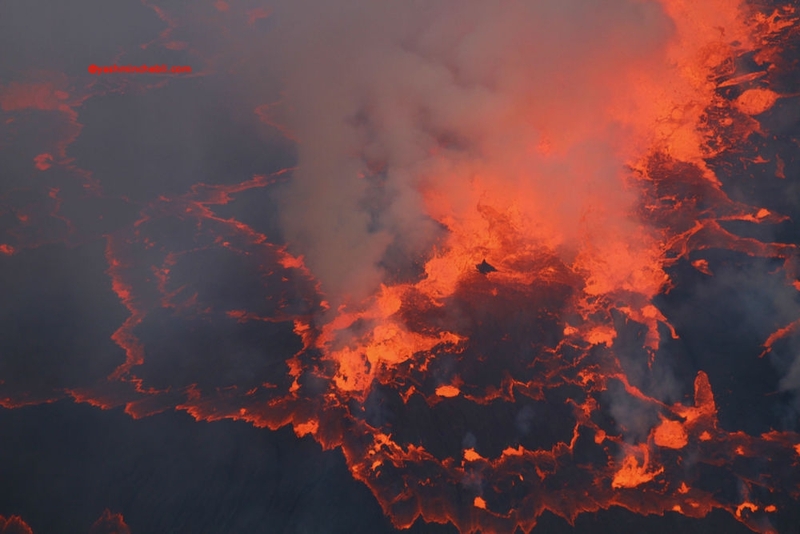 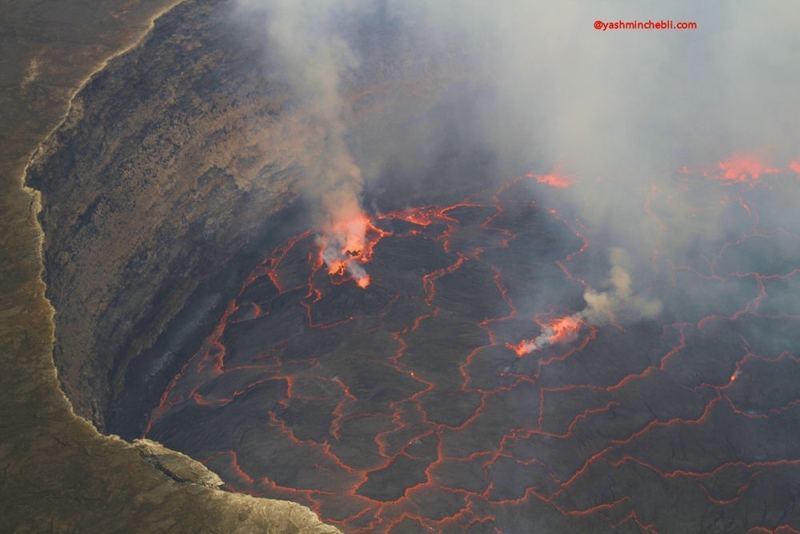 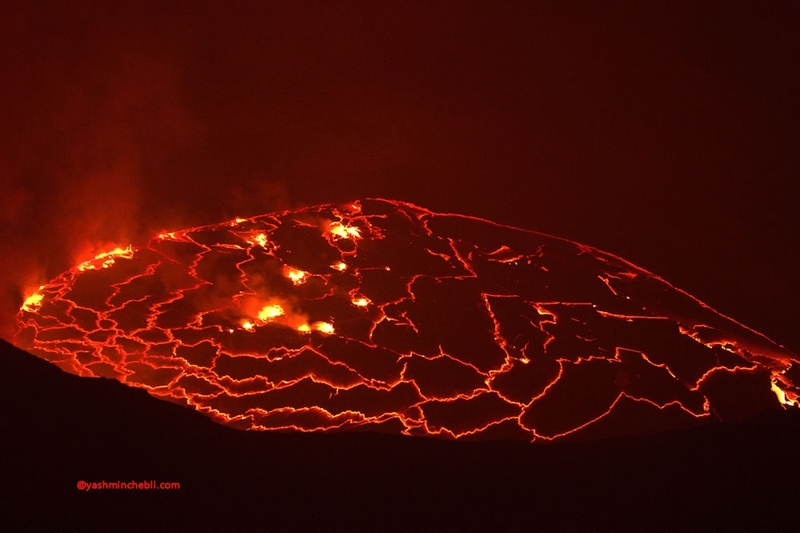 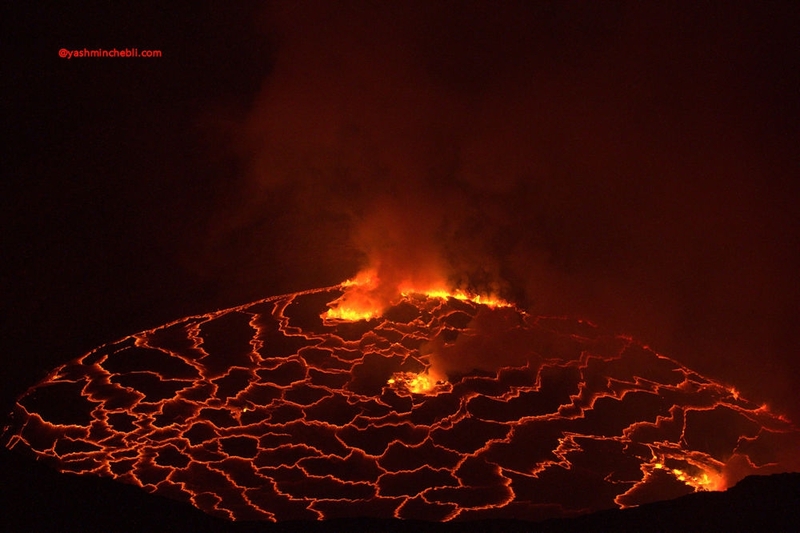 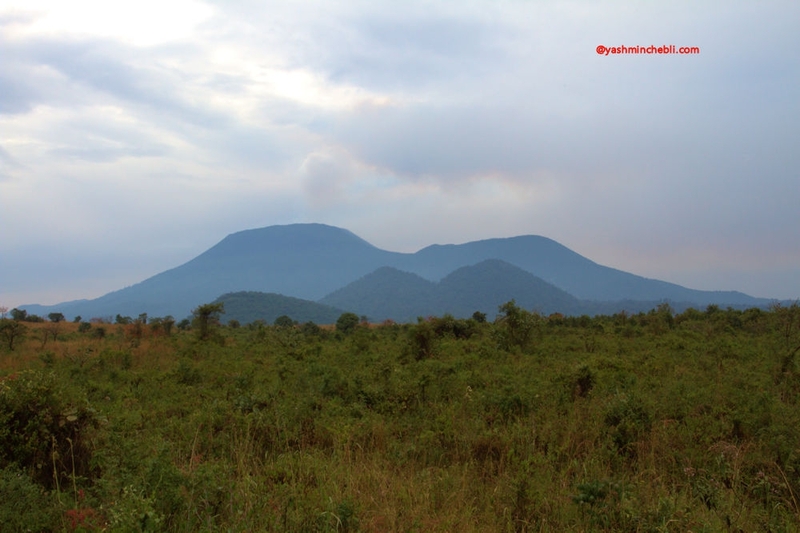 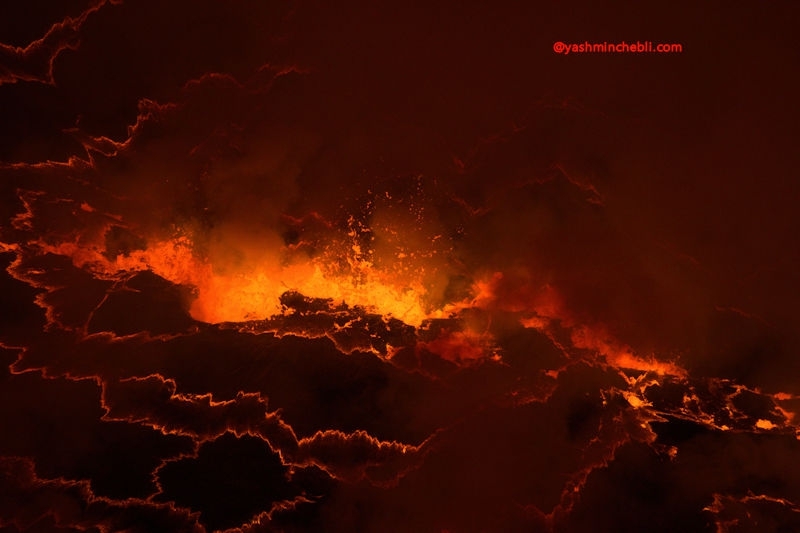 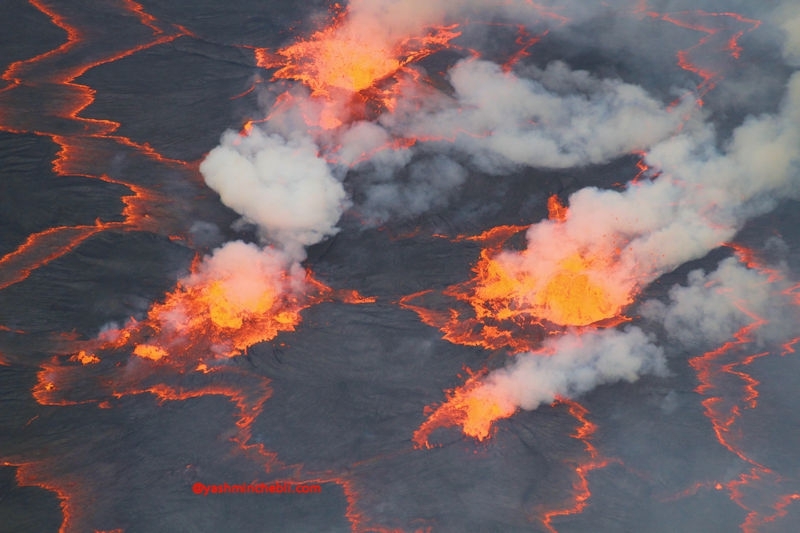 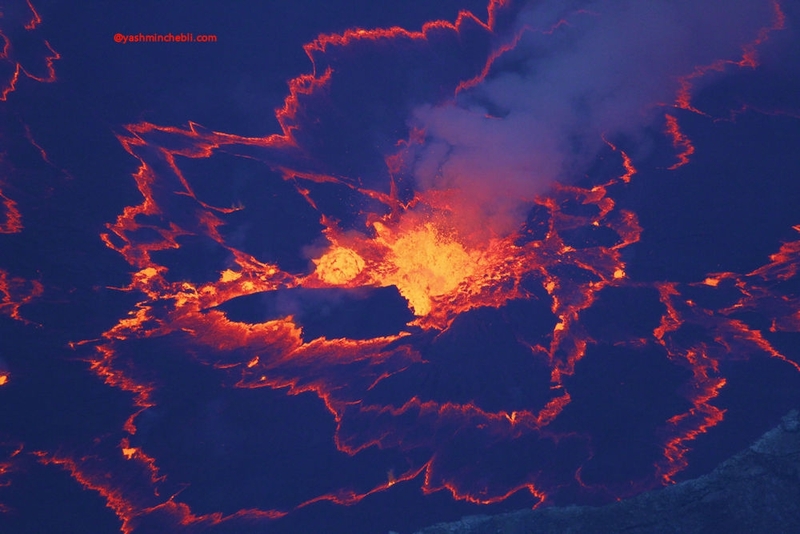 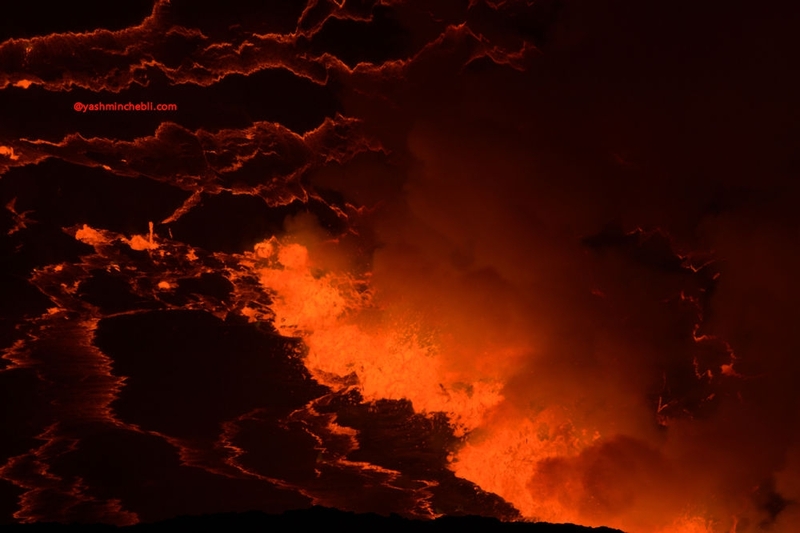 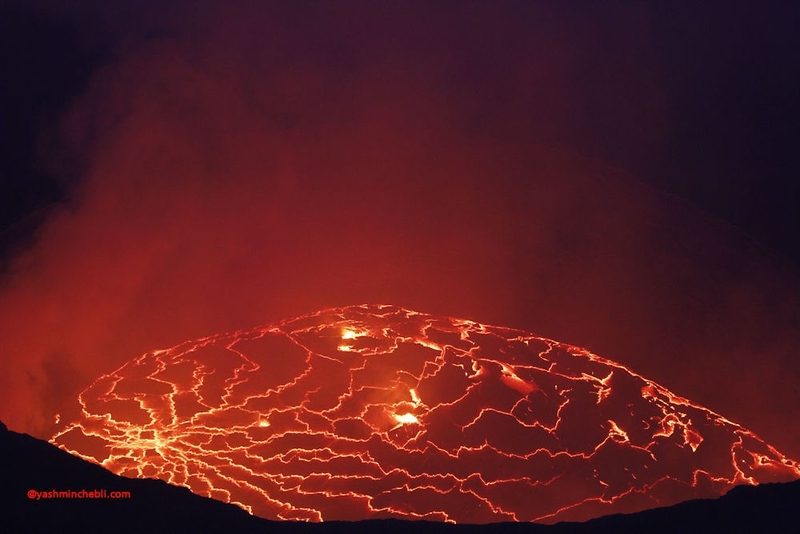 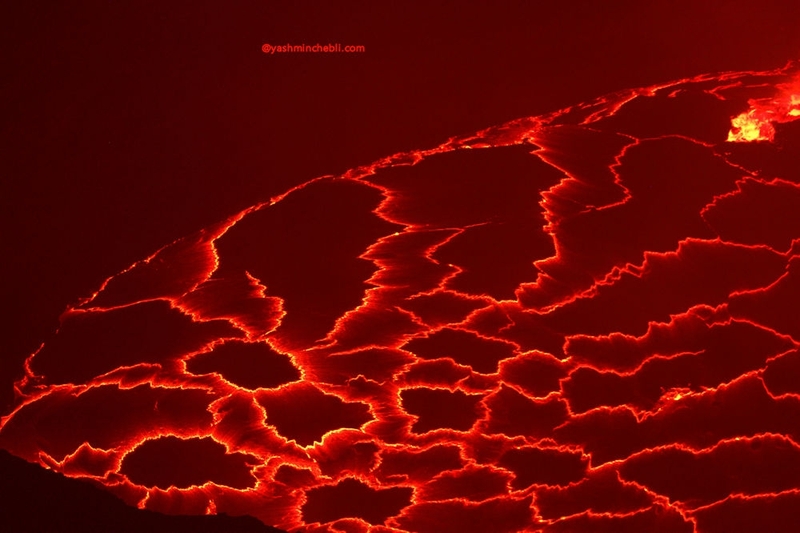 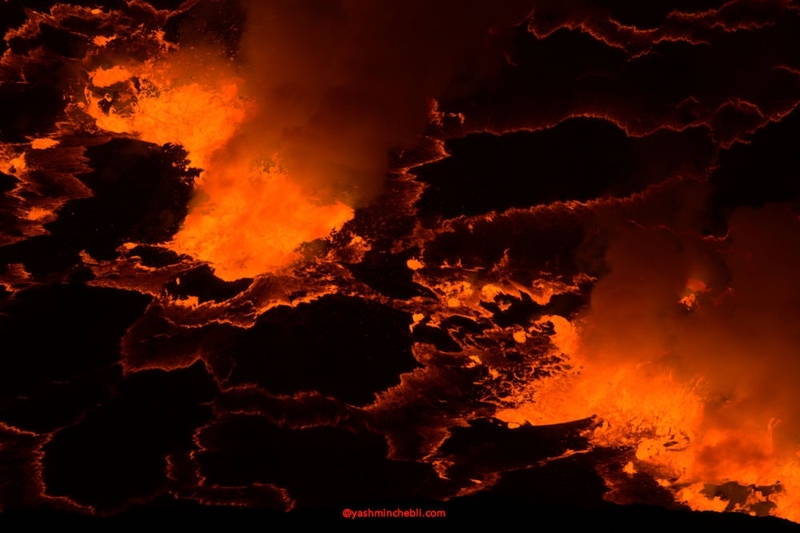 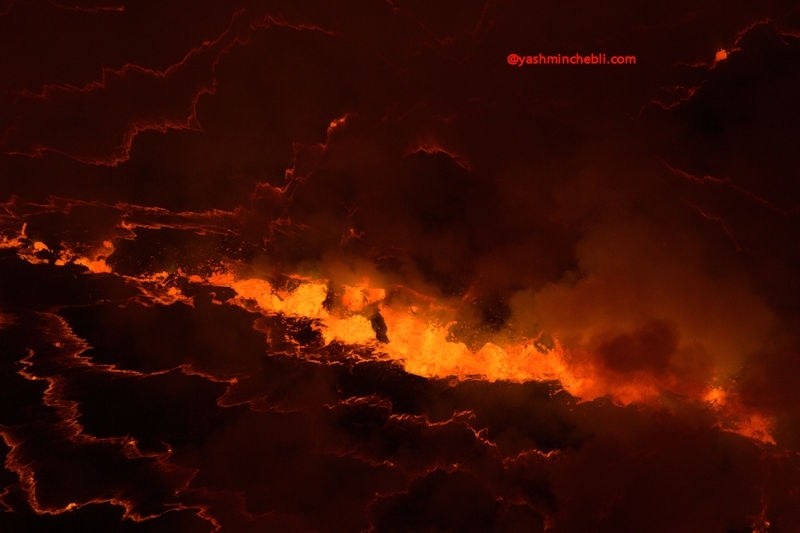 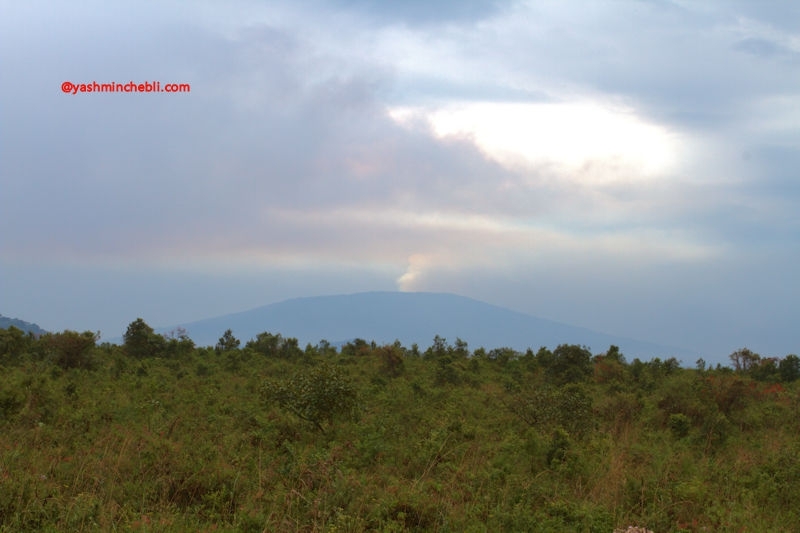 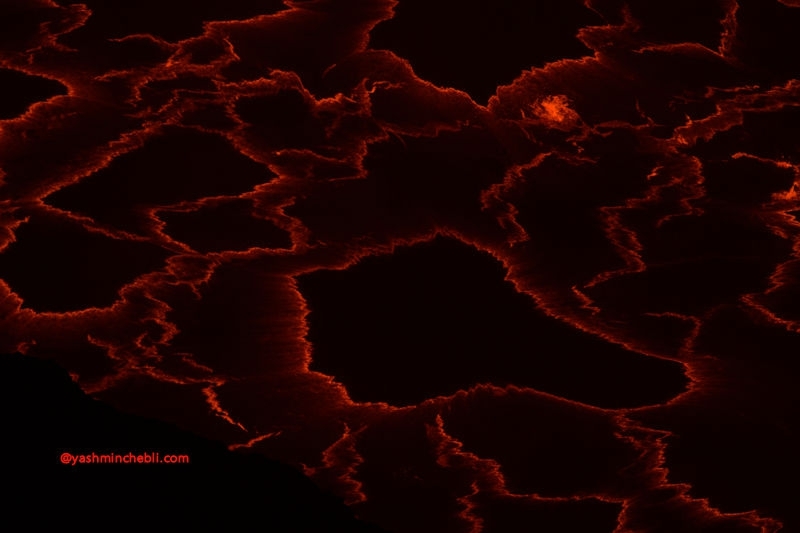 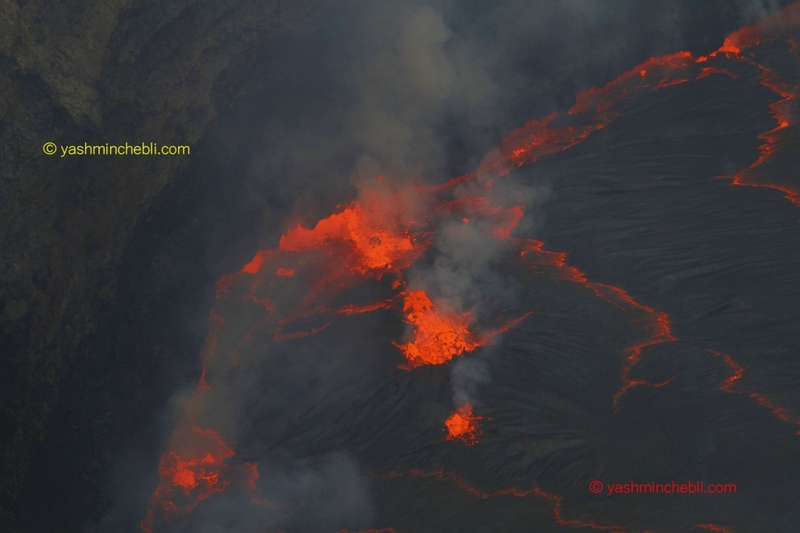 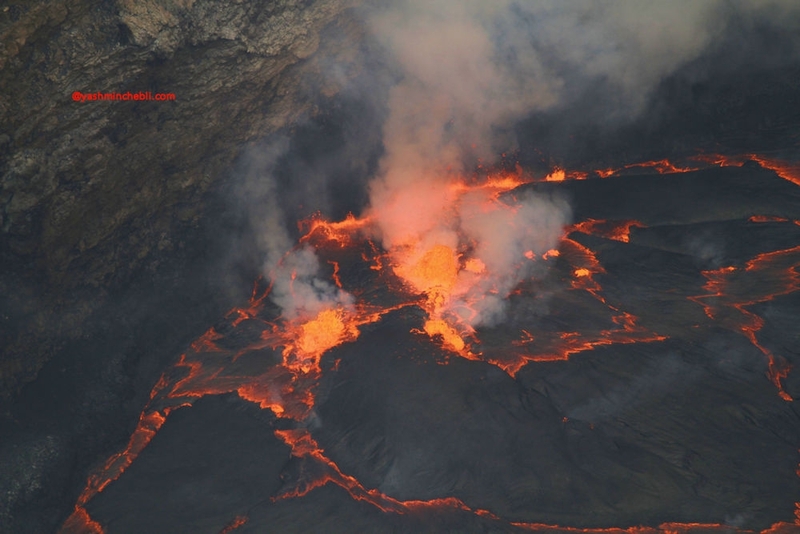 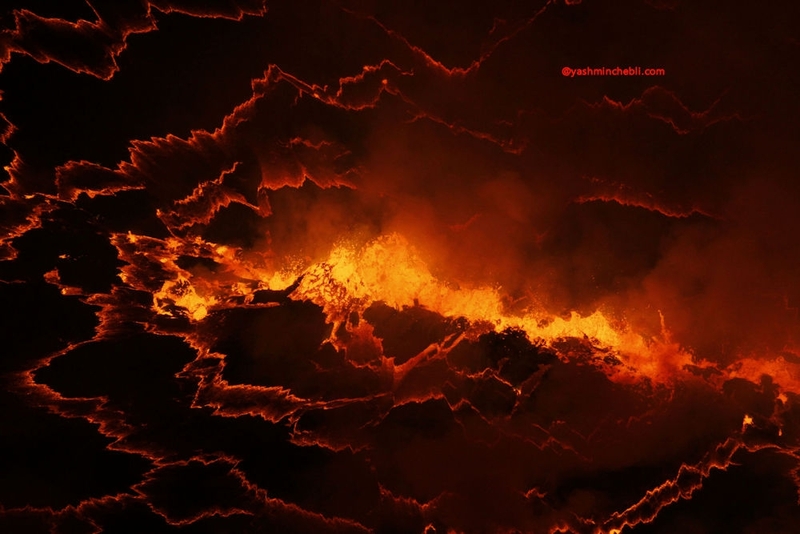 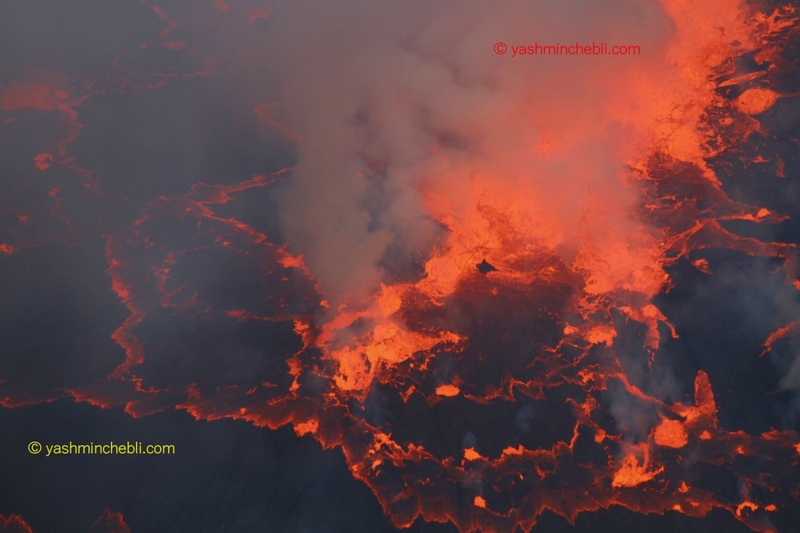 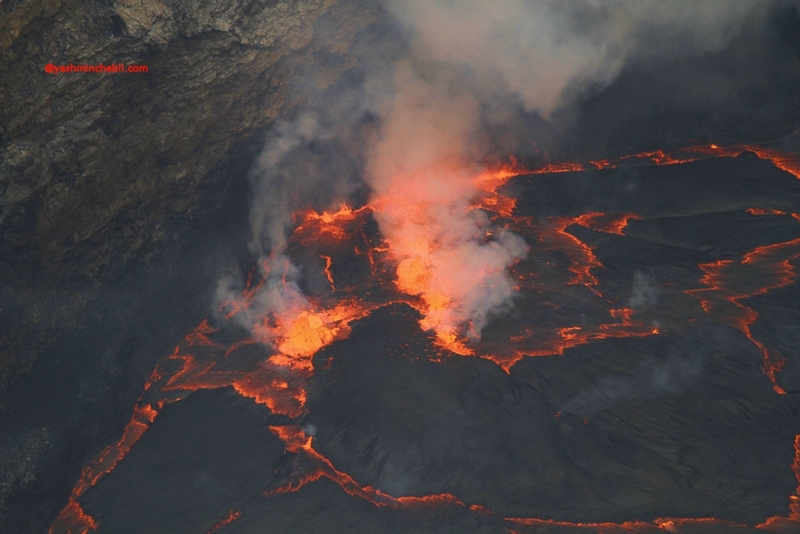 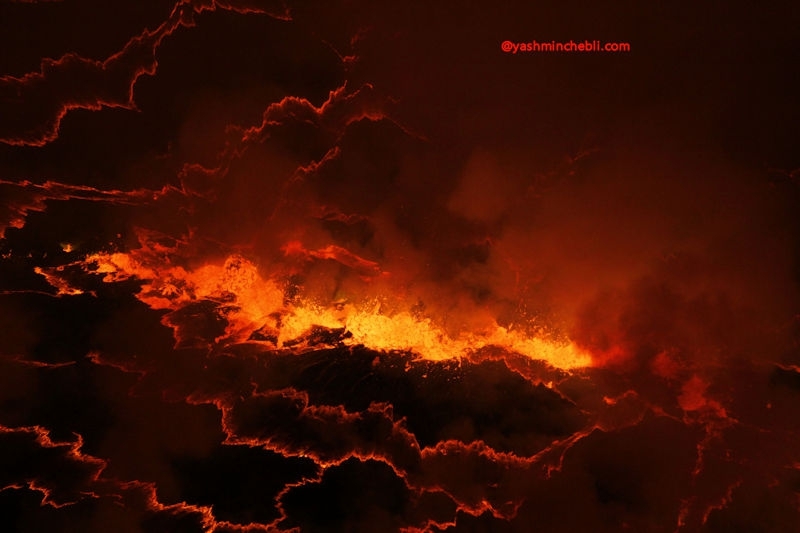 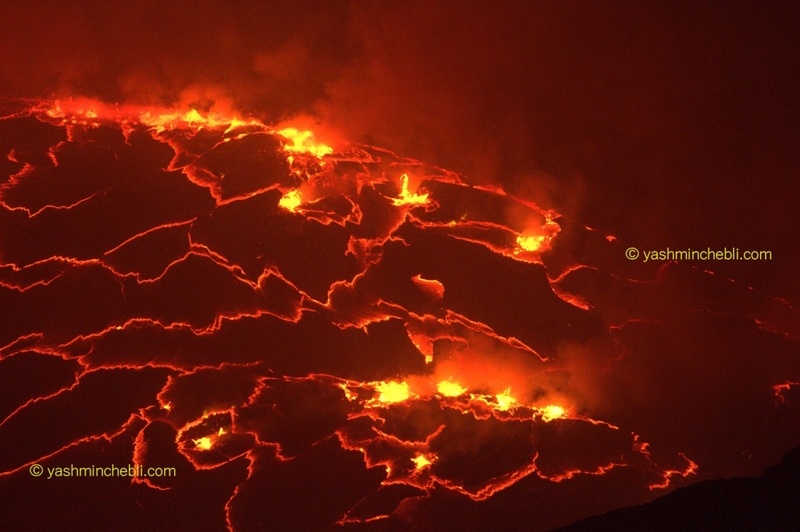 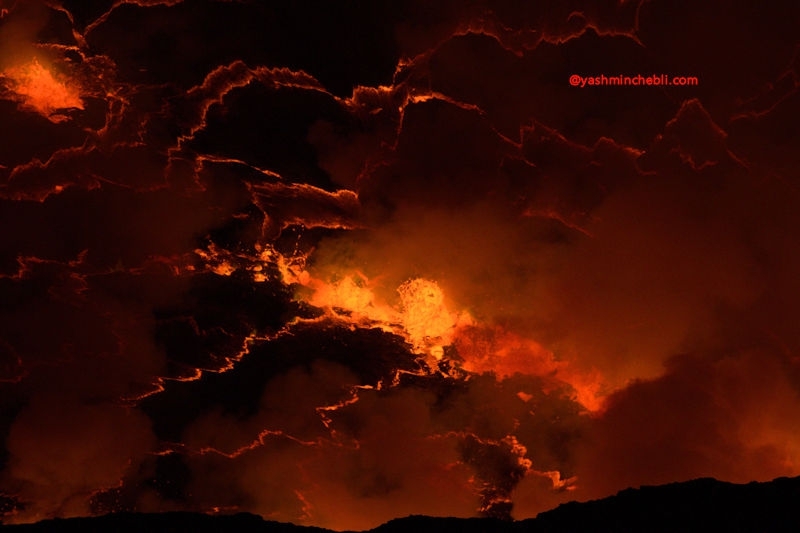 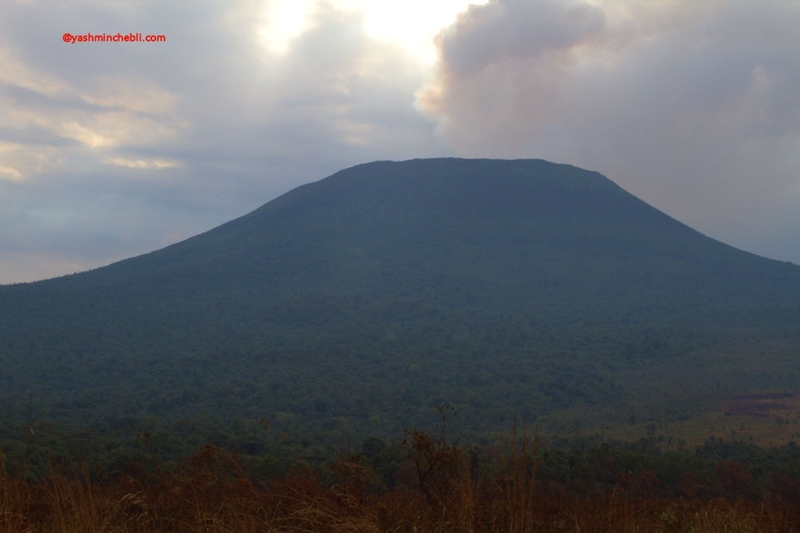 The activity of the Nyiragongo volcano situated on the North Kivu province in DR Congo is normal. 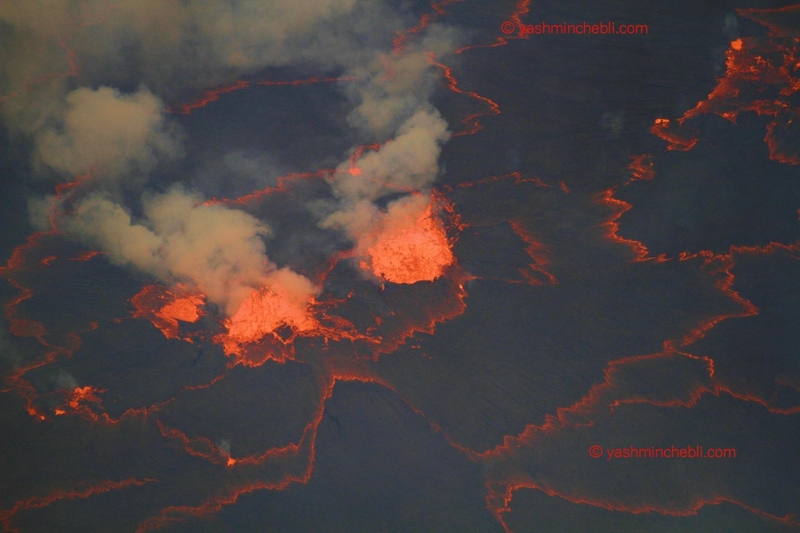 Its sperctacular incandescent lava lake is localised at 430 meters below the main crest of the crater where we established our base camp of observation. It's a permanent bubbling of lava lake, brewing a fluid magma bath of melted rocks in silica-under-saturated with an incredible degassing and fuidity! 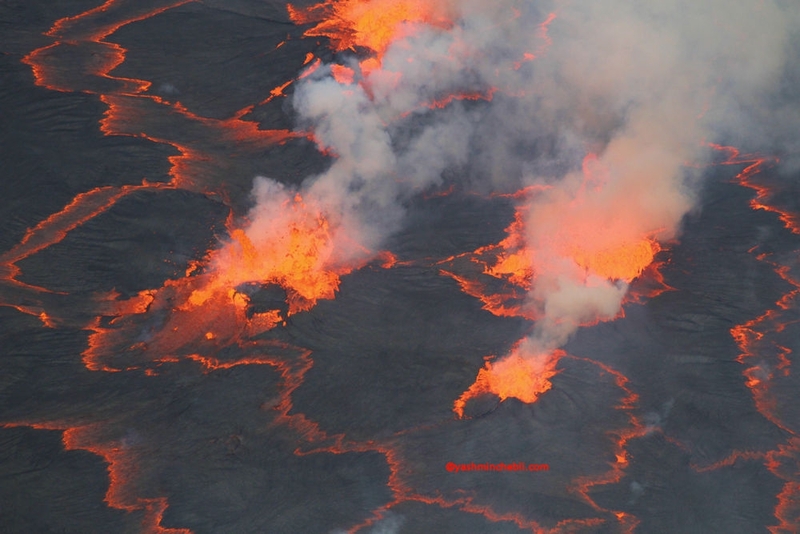 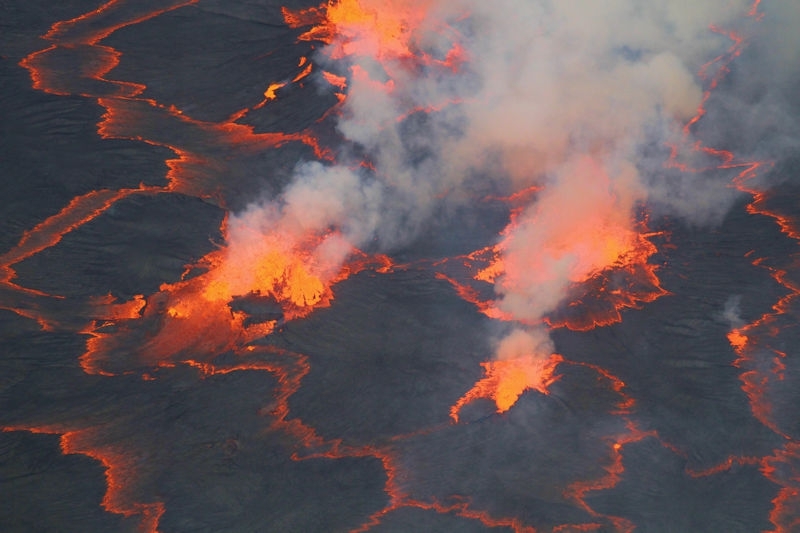 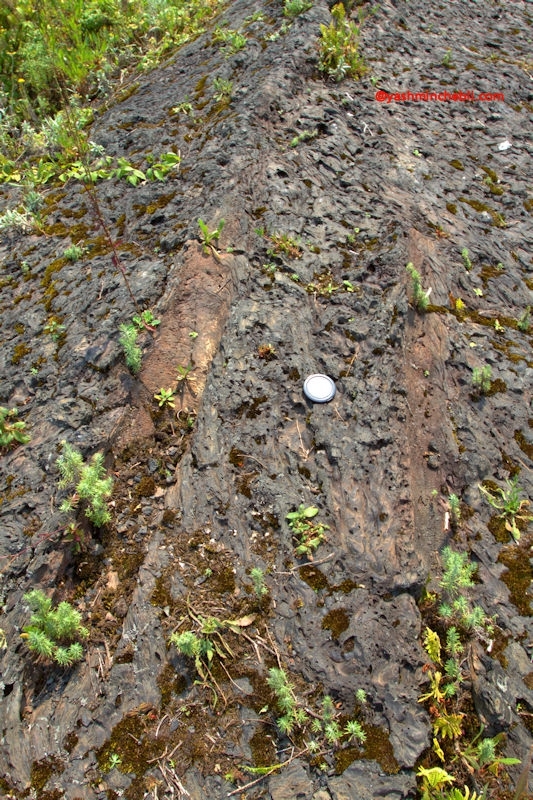 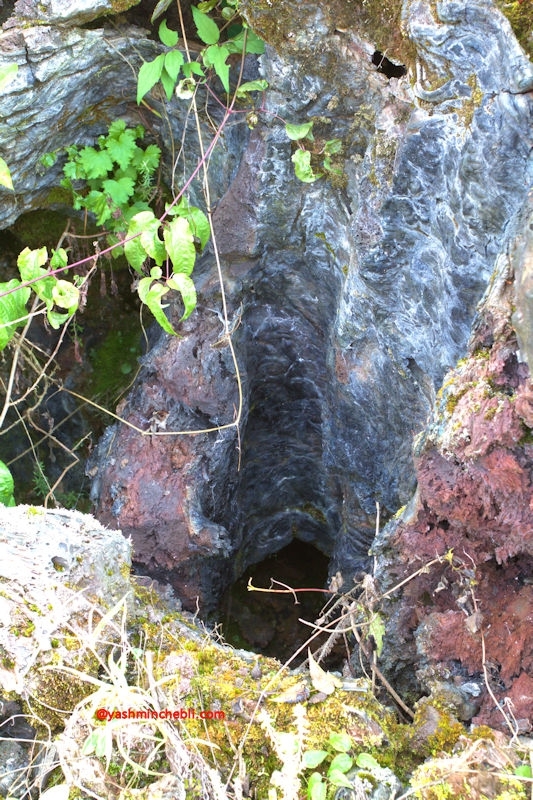 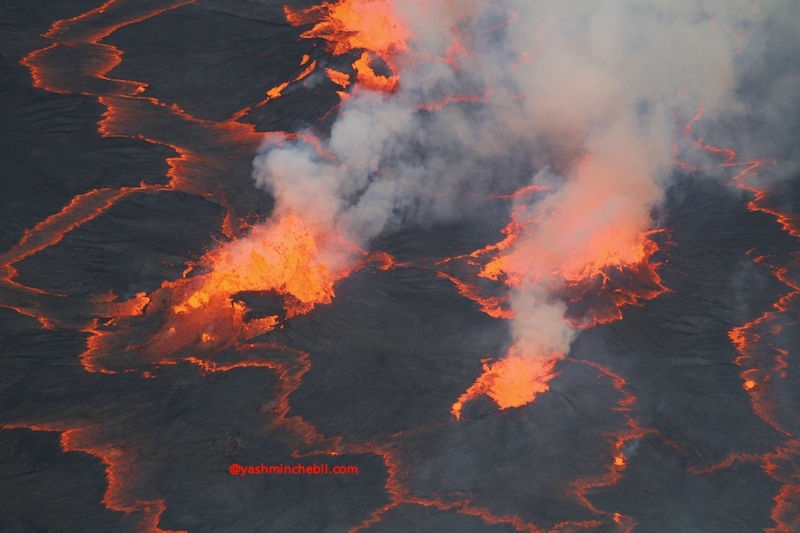 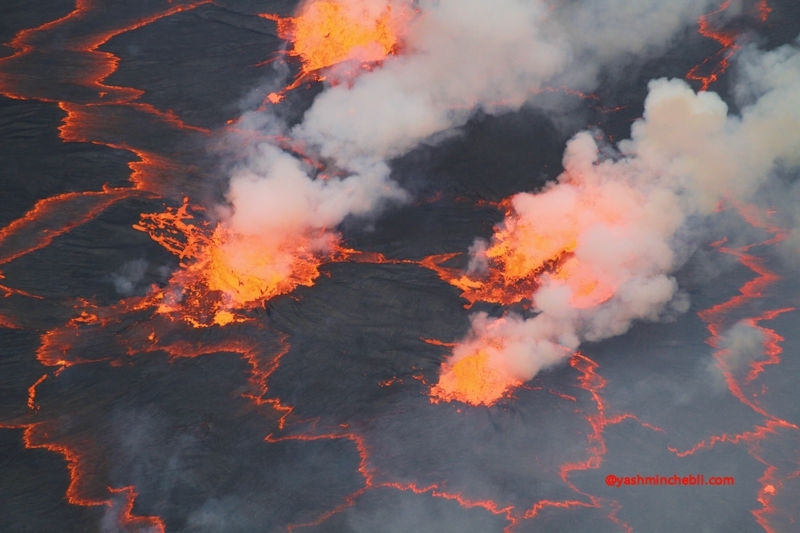 It's an open-air geologic book showing the movements of micro-plates on the surface of the lake with gobblings up and small lava fountains, like spatterings, witnesses of an intense convective dynamics inside the lake.